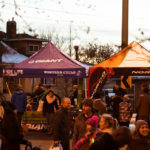 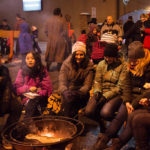 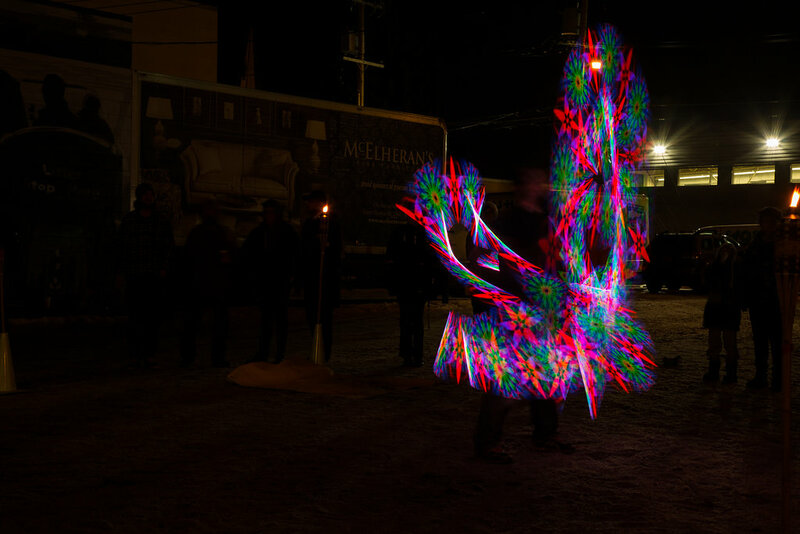 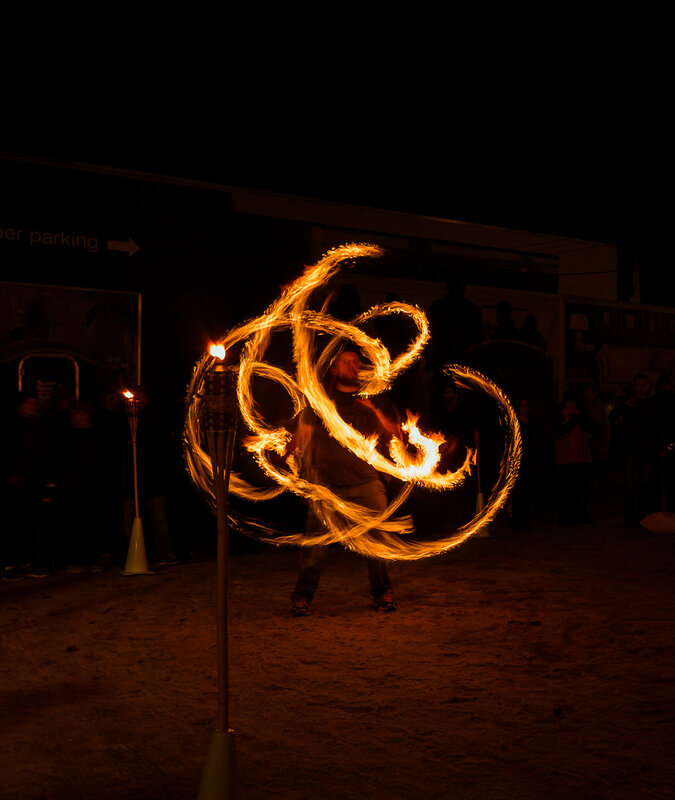 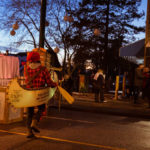 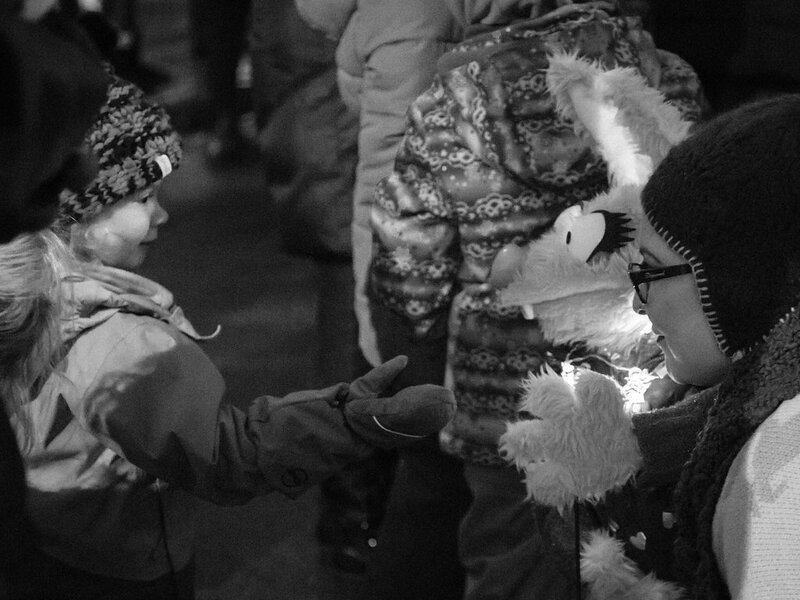 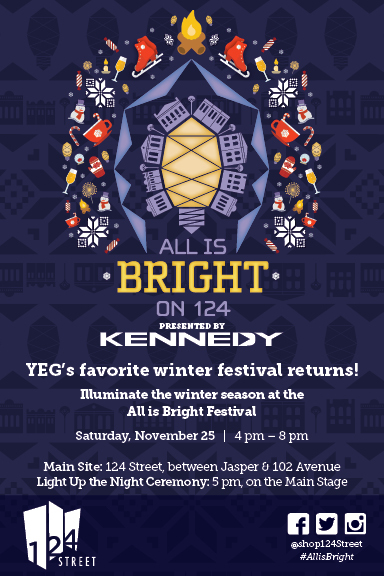 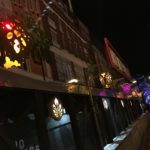 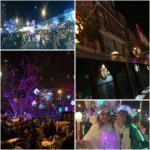 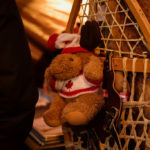 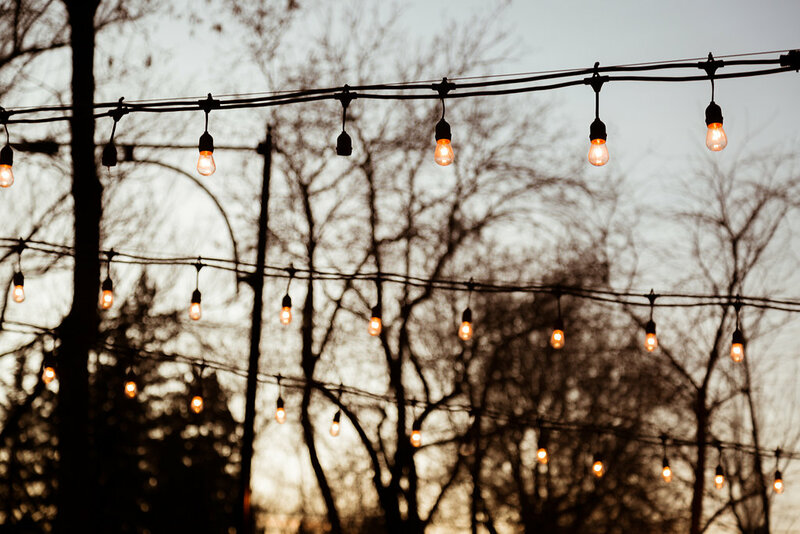 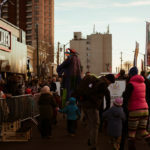 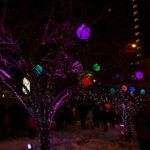 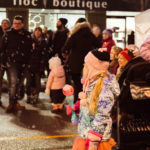 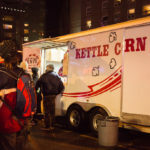 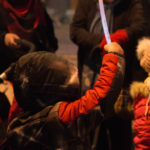 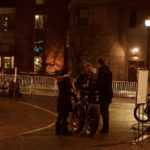 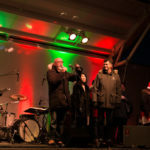 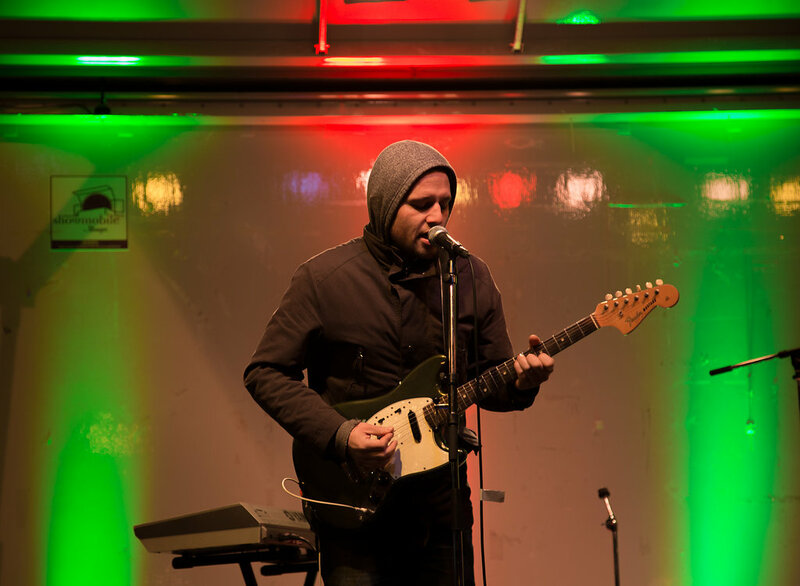 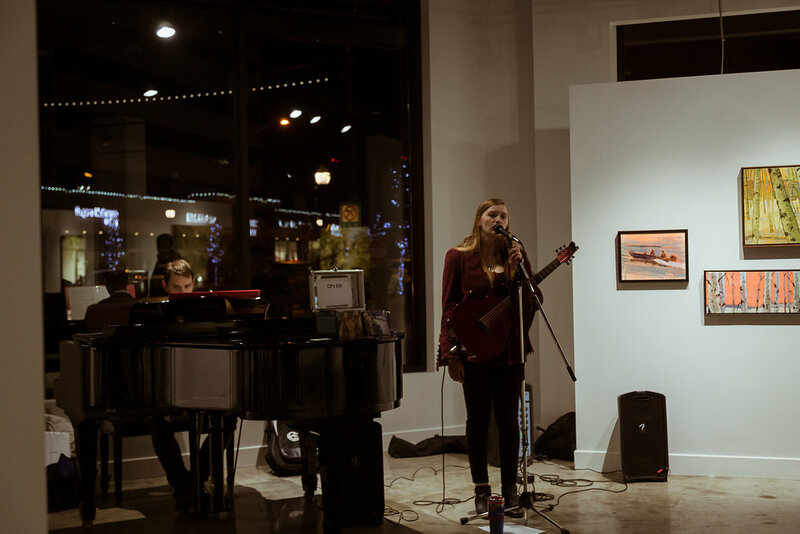 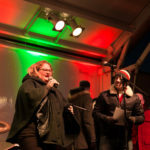 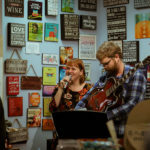 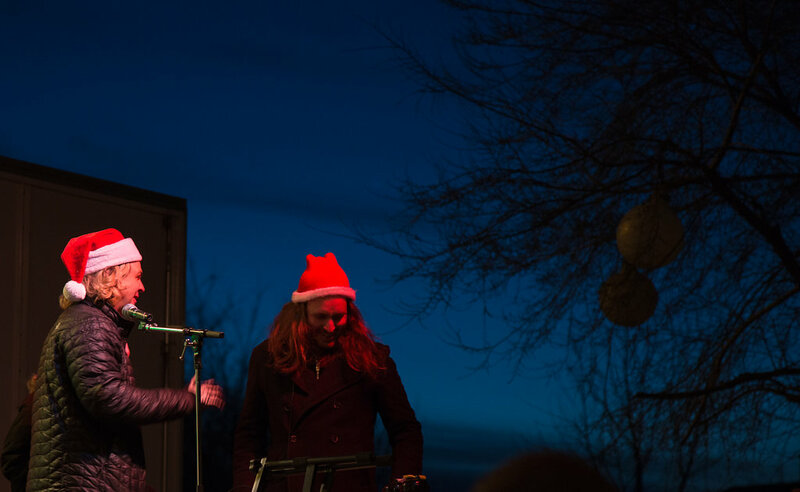 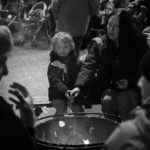 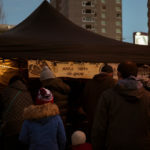 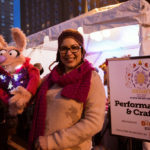 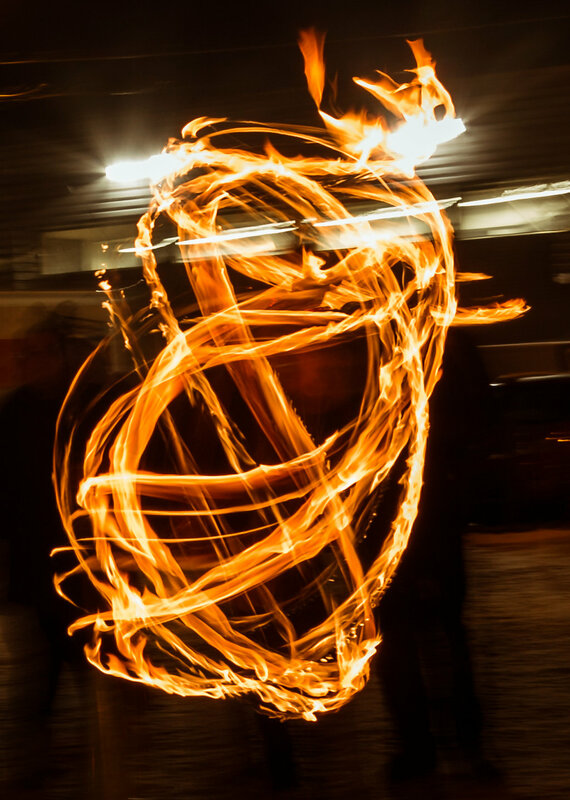 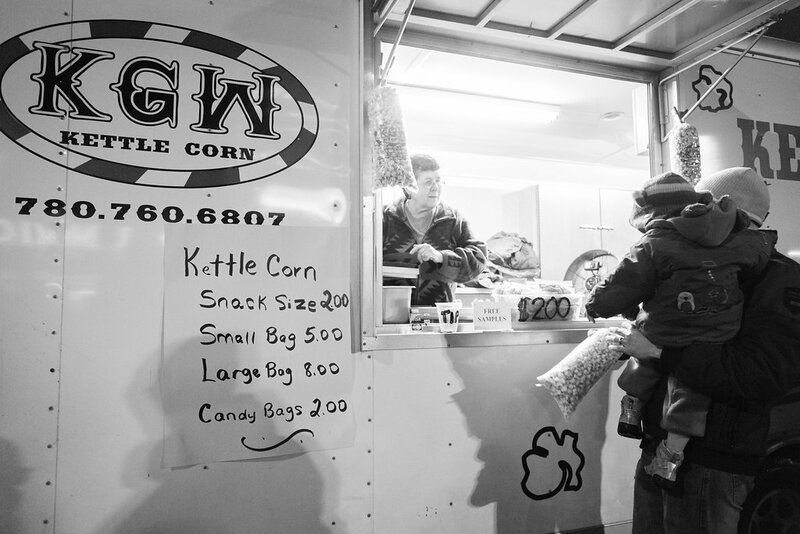 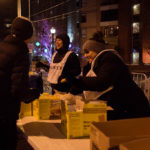 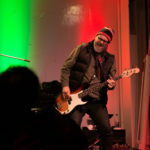 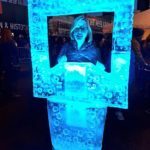 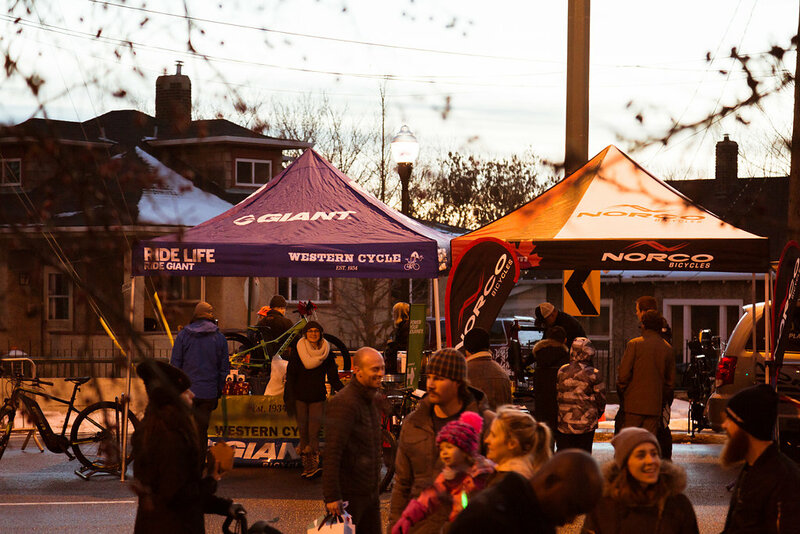 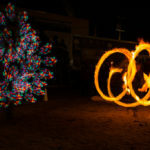 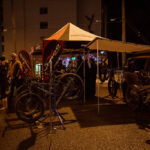 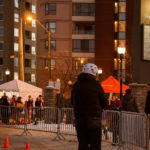 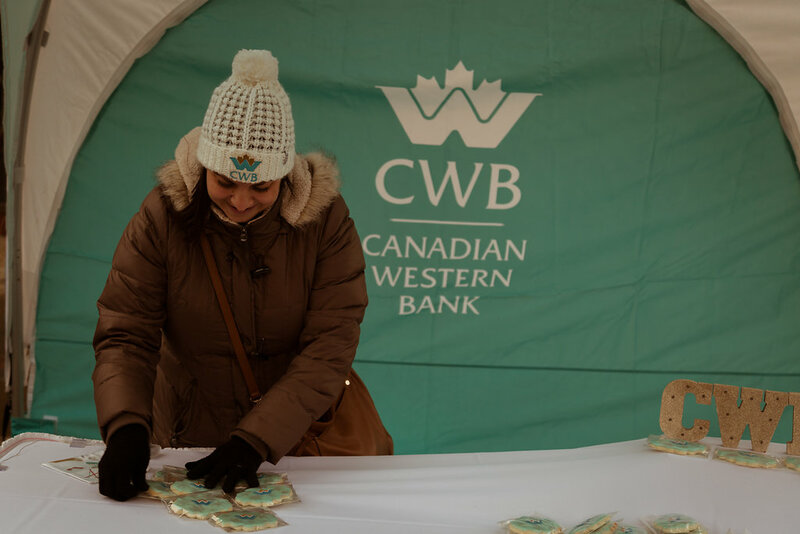 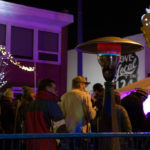 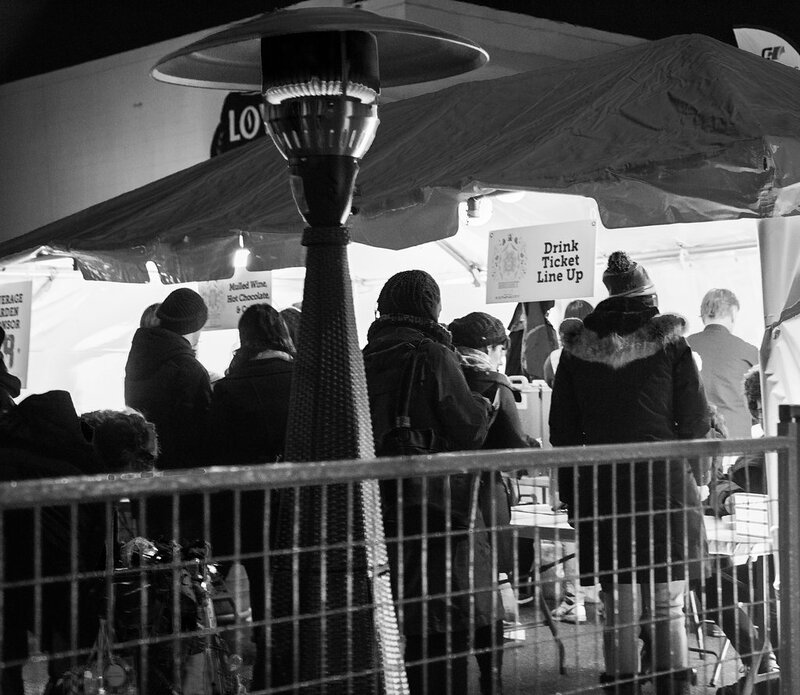 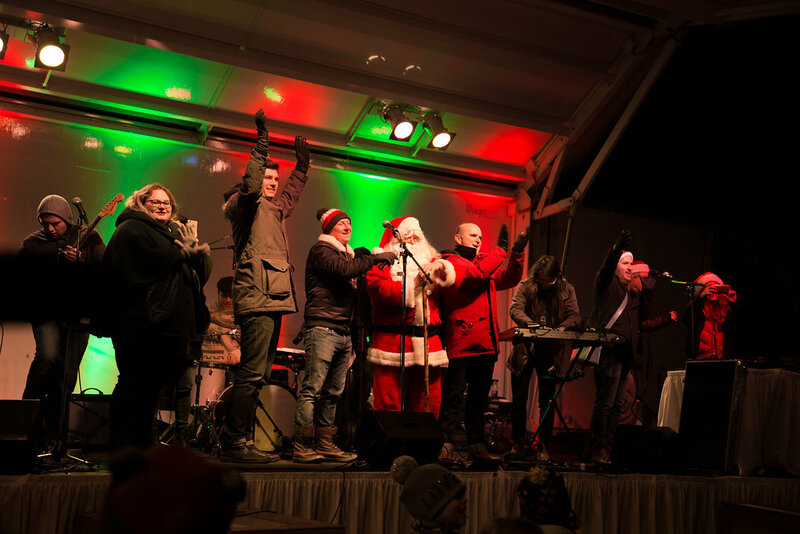 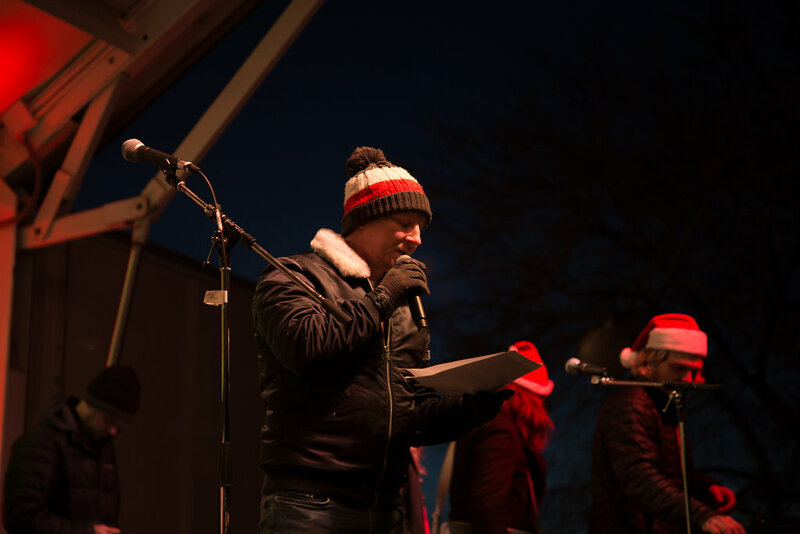 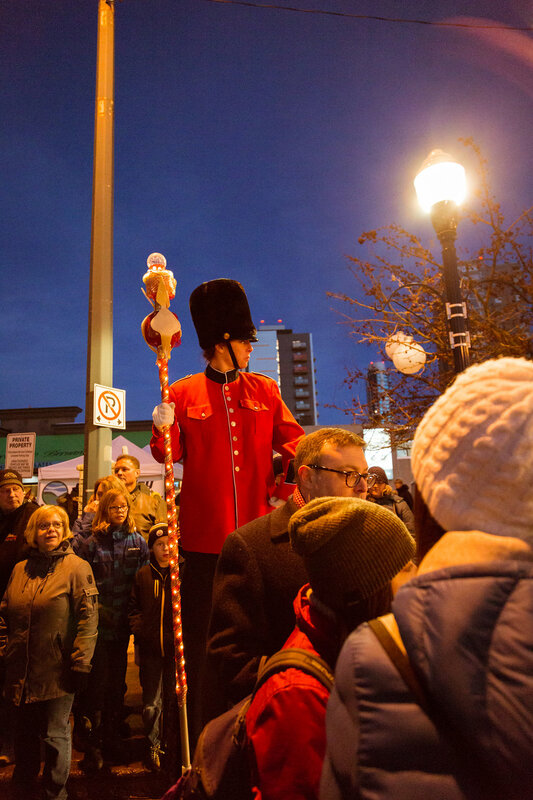 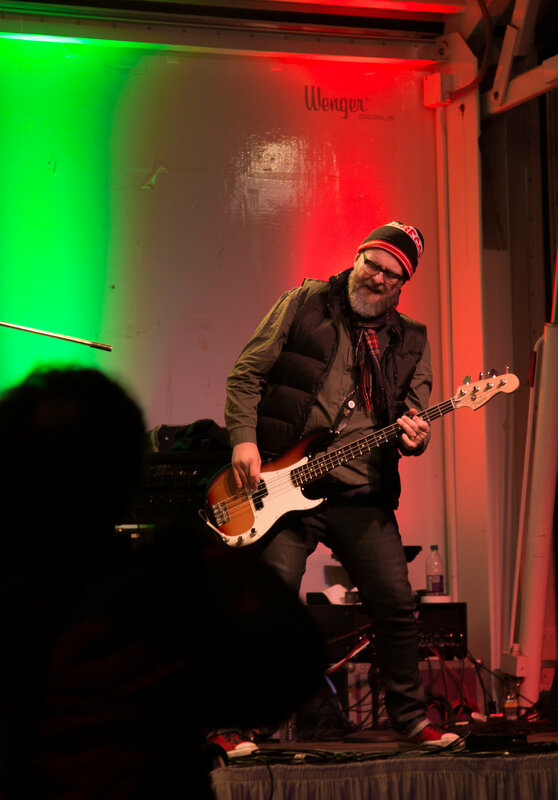 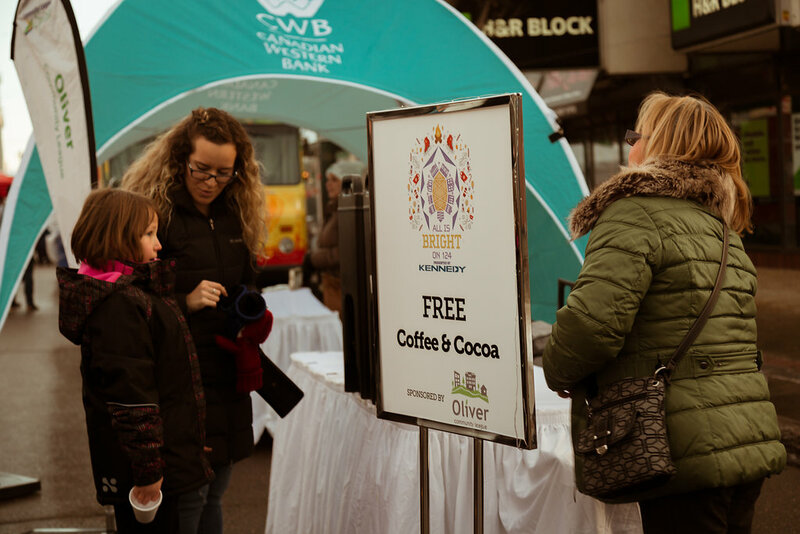 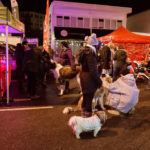 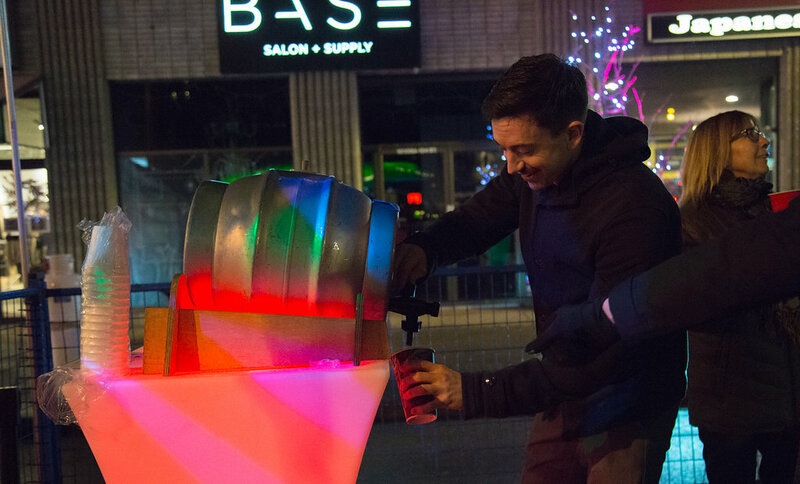 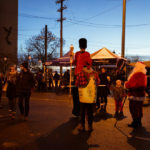 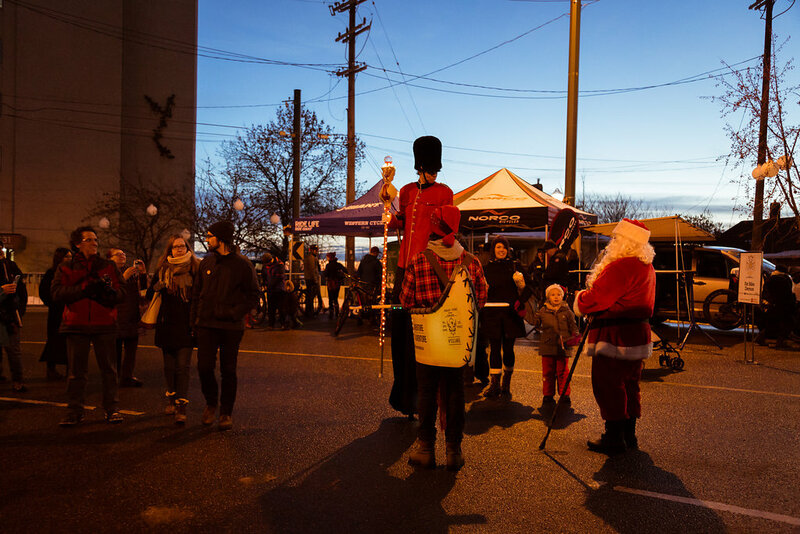 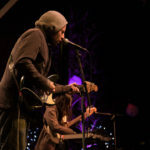 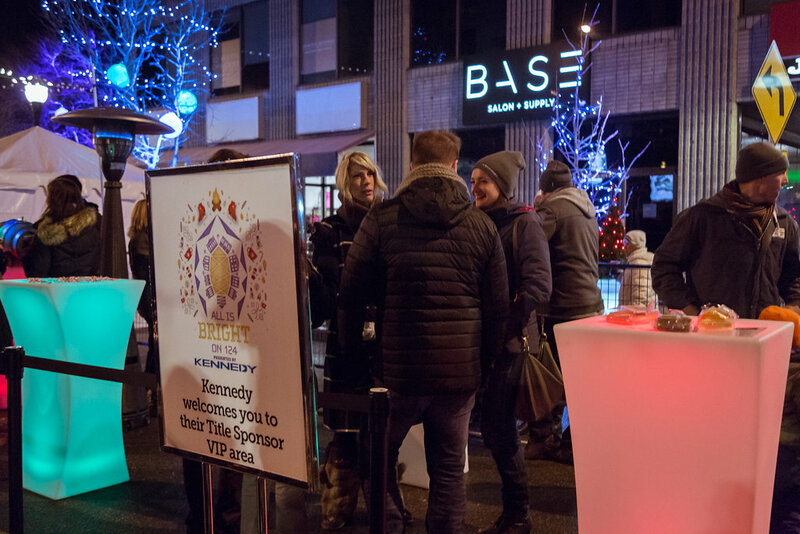 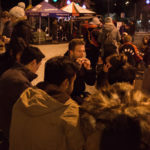 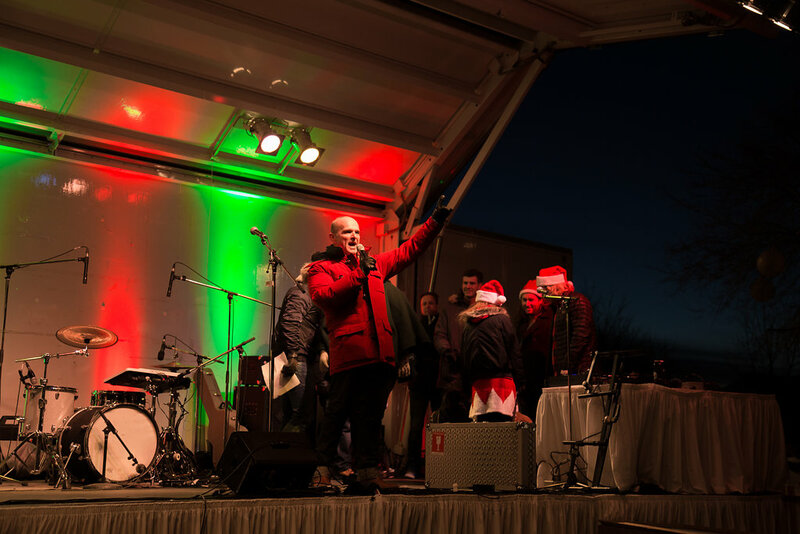 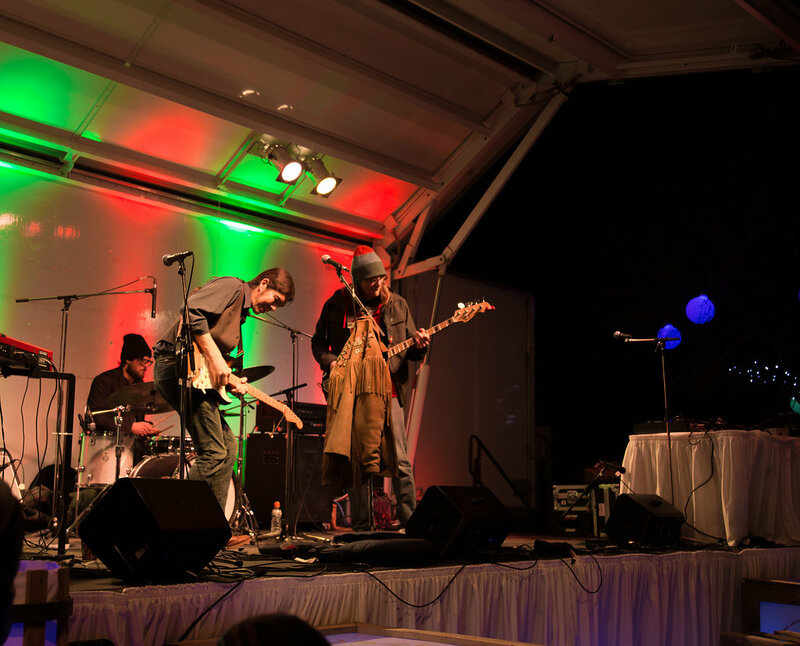 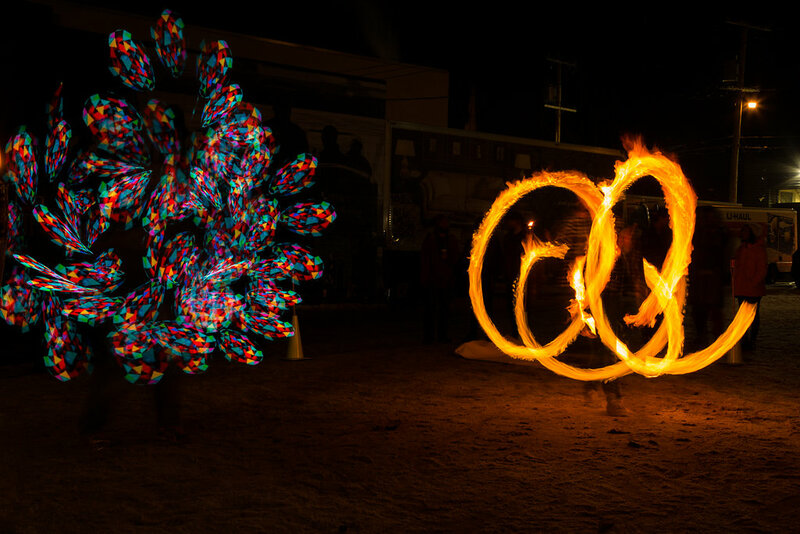 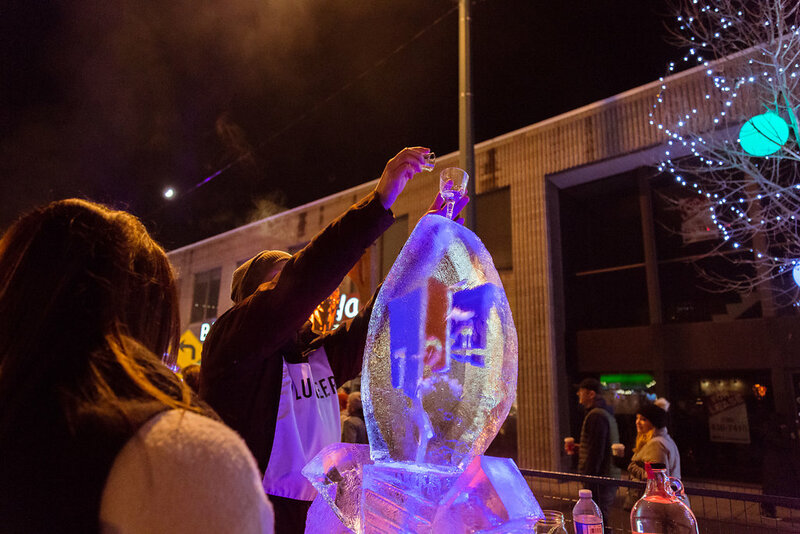 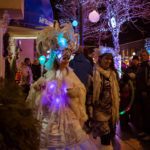 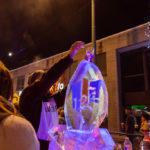 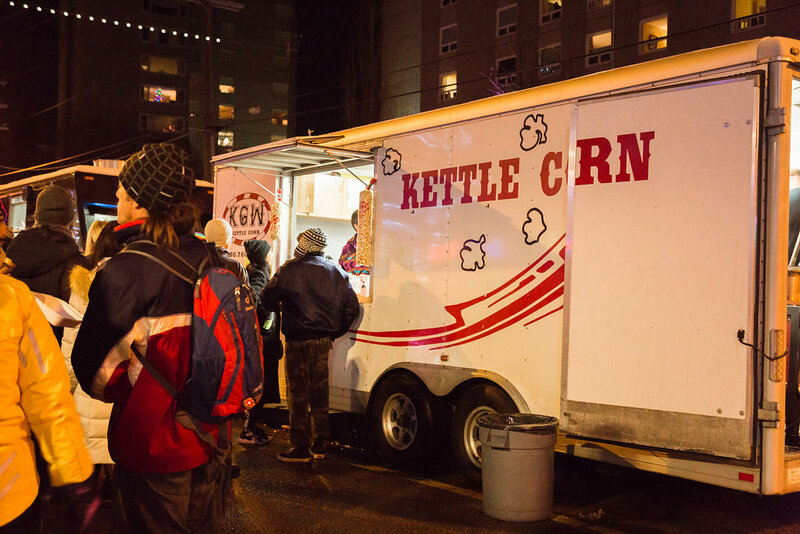 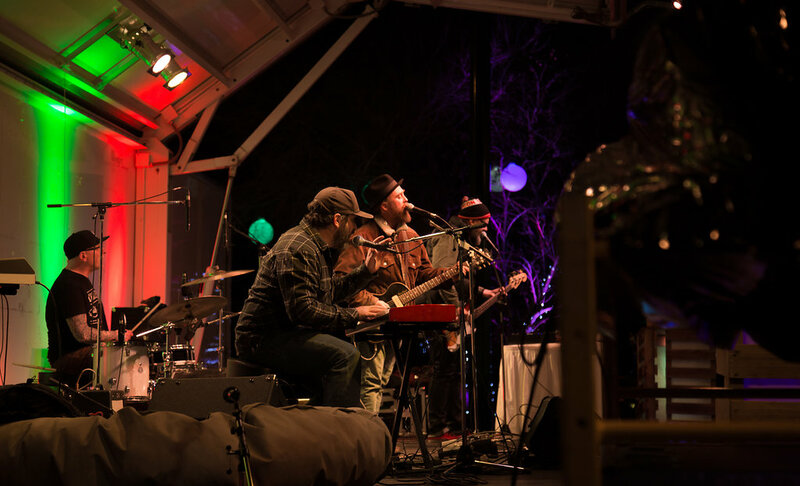 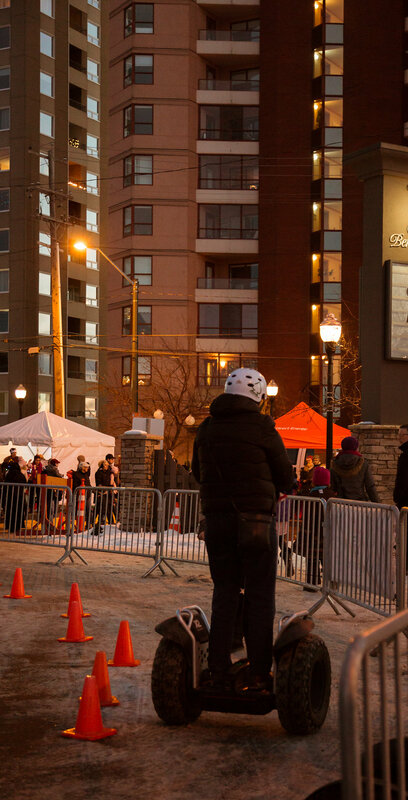 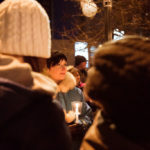 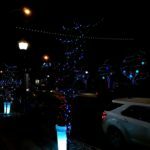 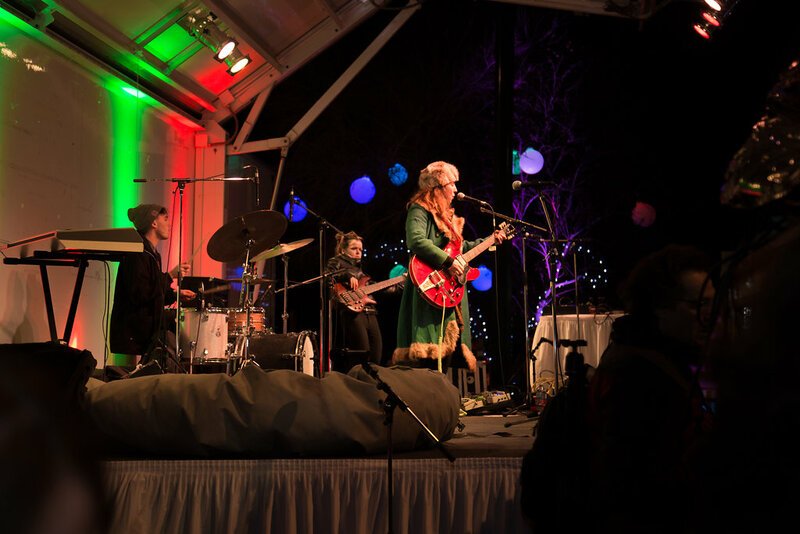 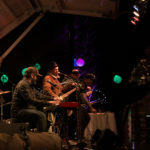 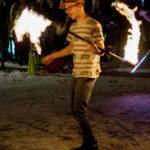 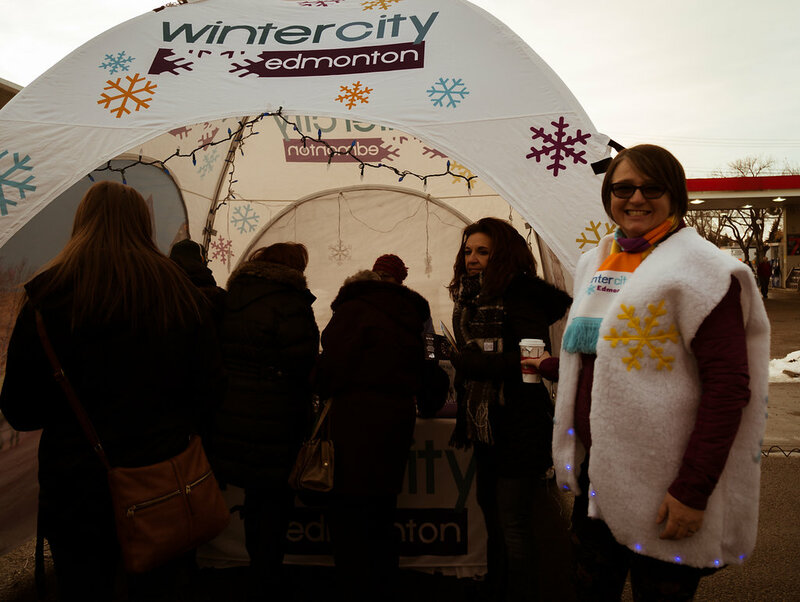 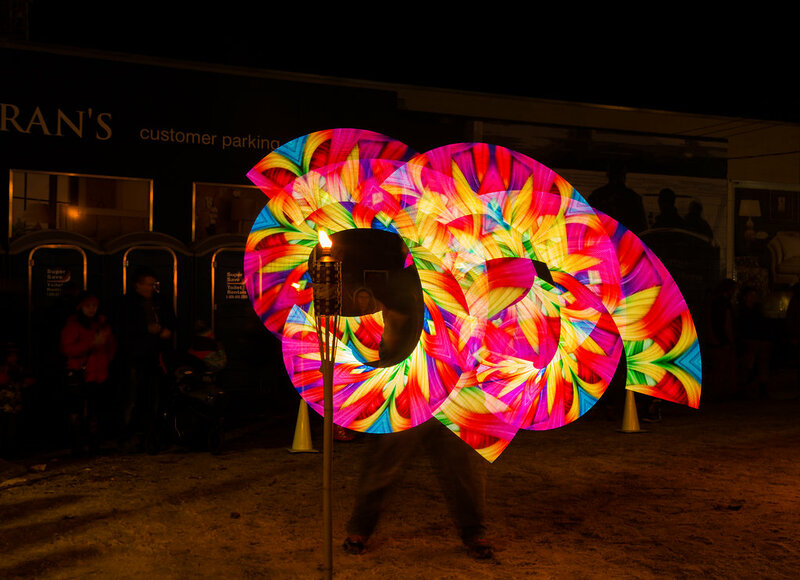 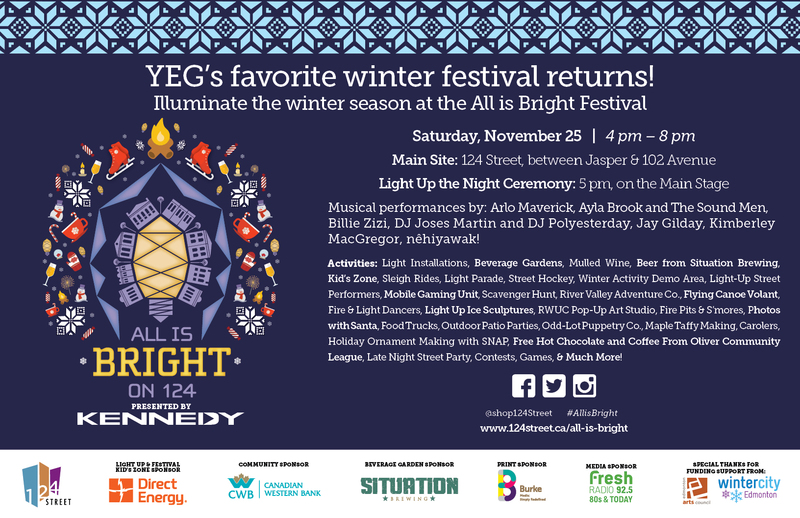 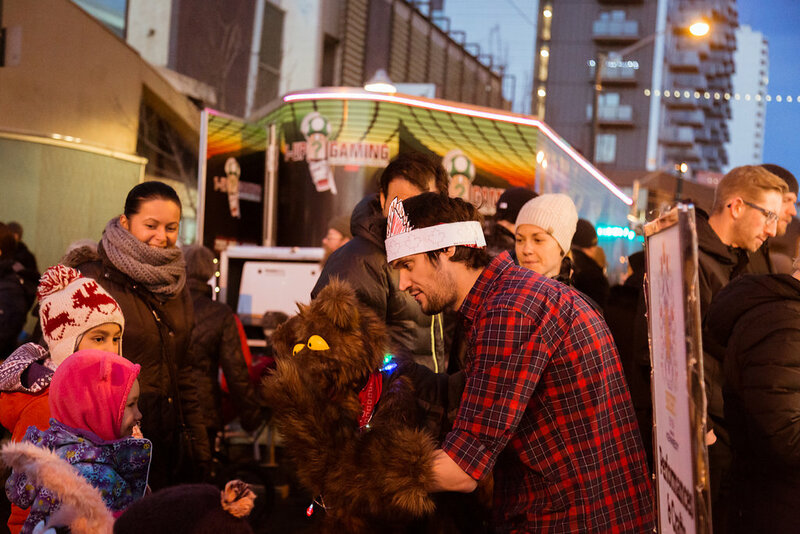 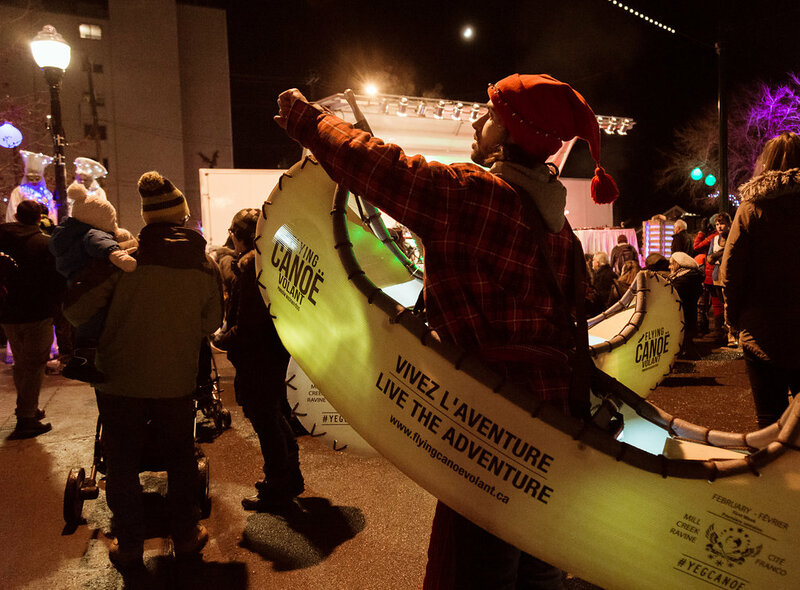 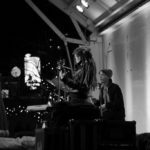 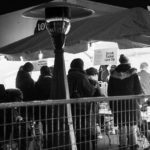 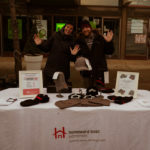 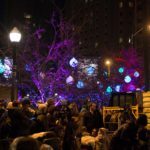 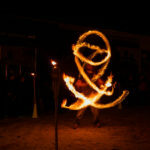 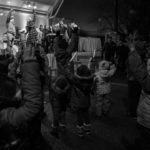 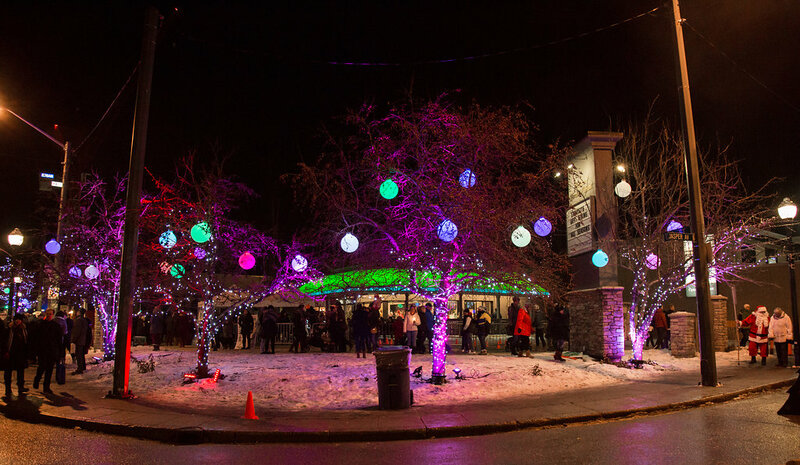 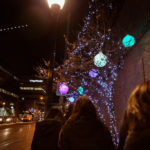 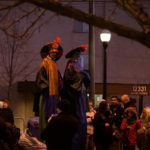 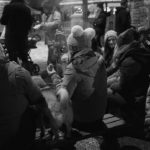 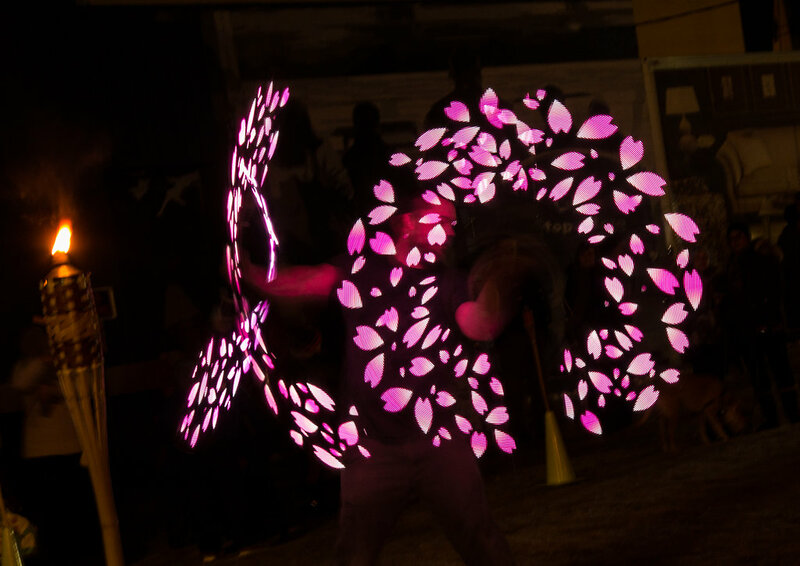 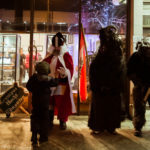 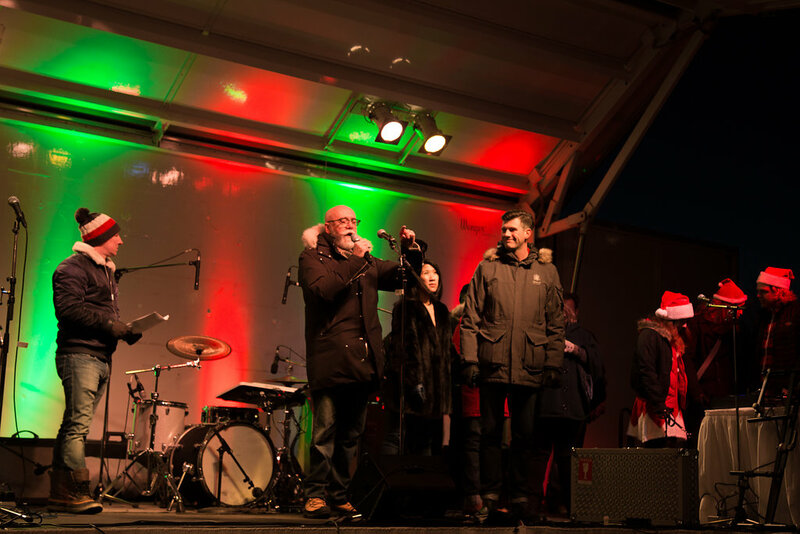 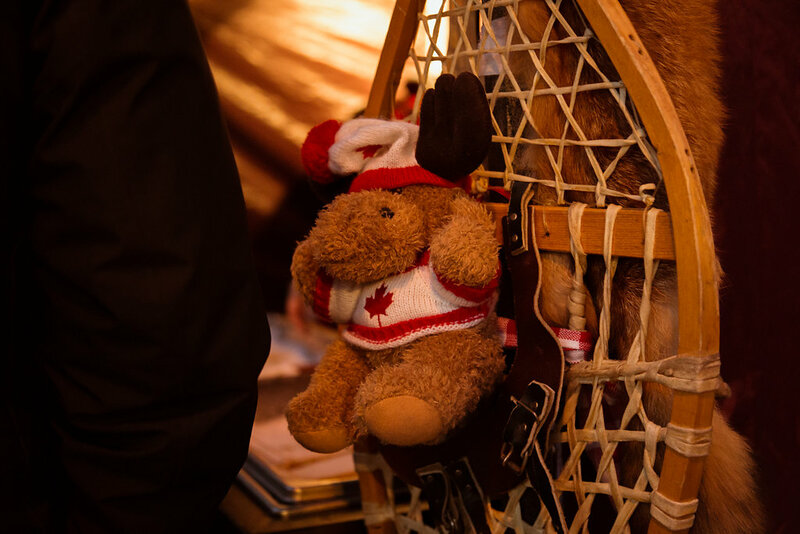 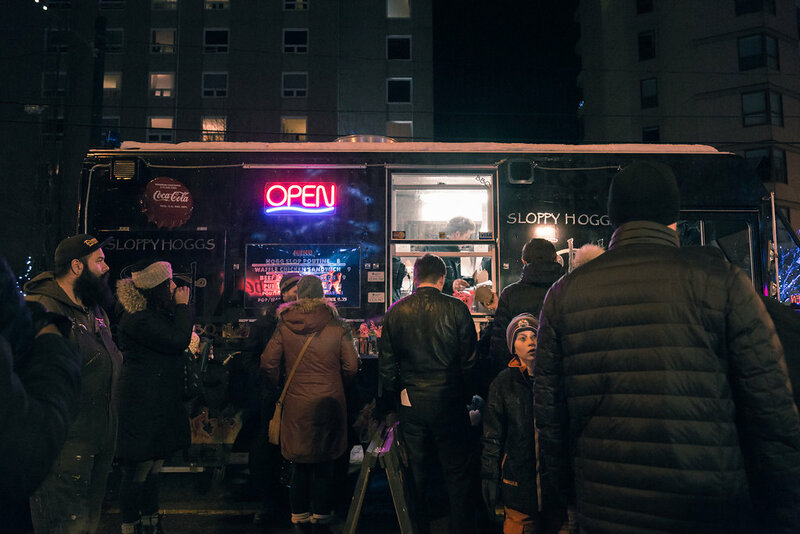 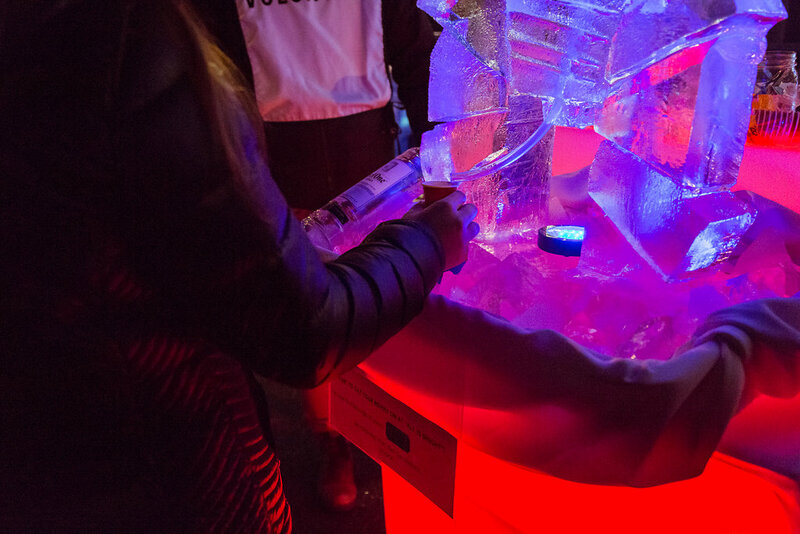 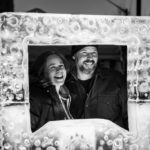 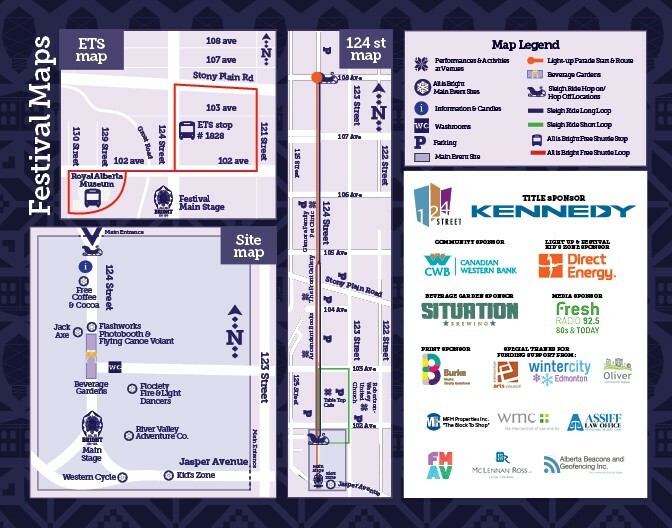 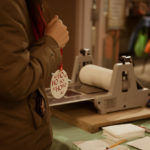 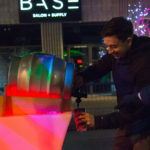 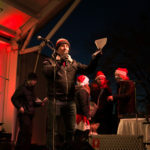 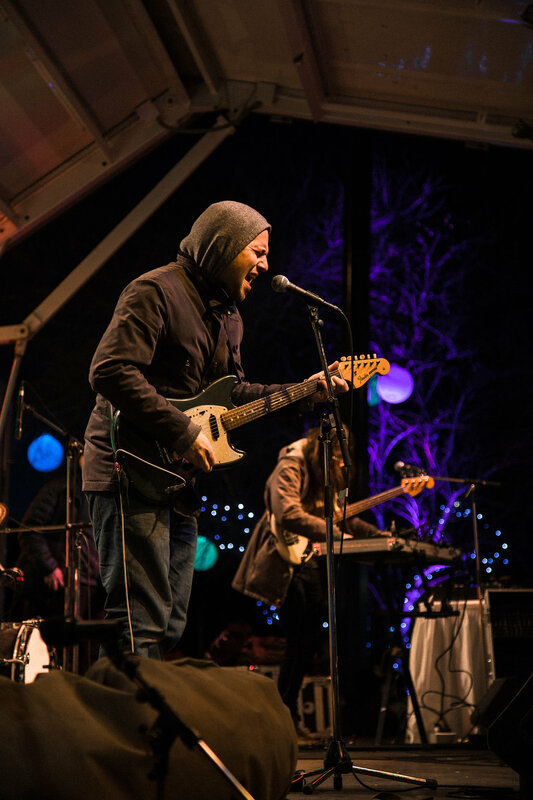 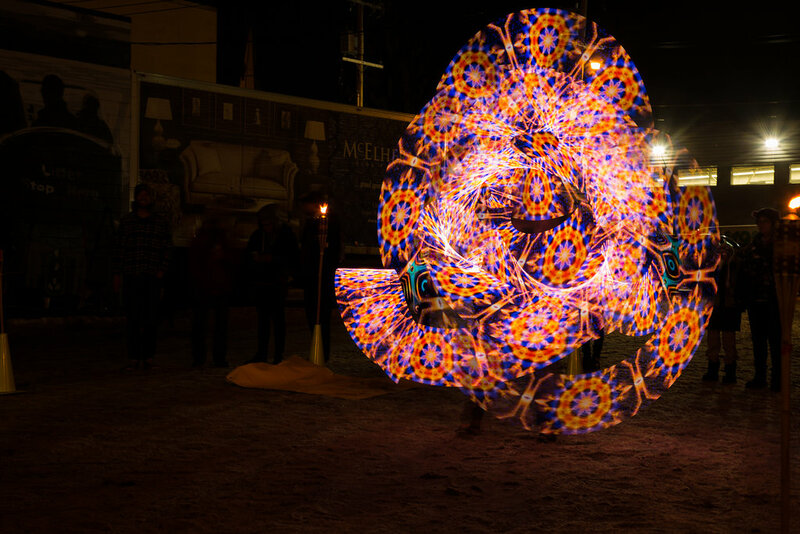 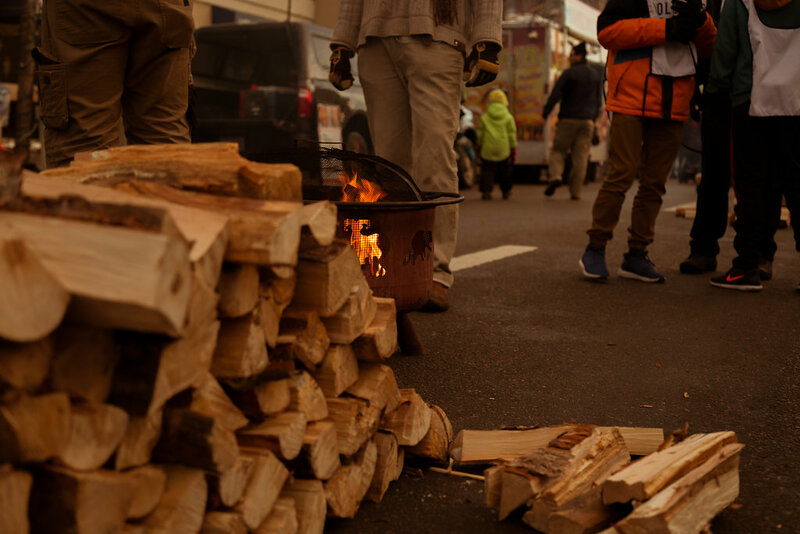 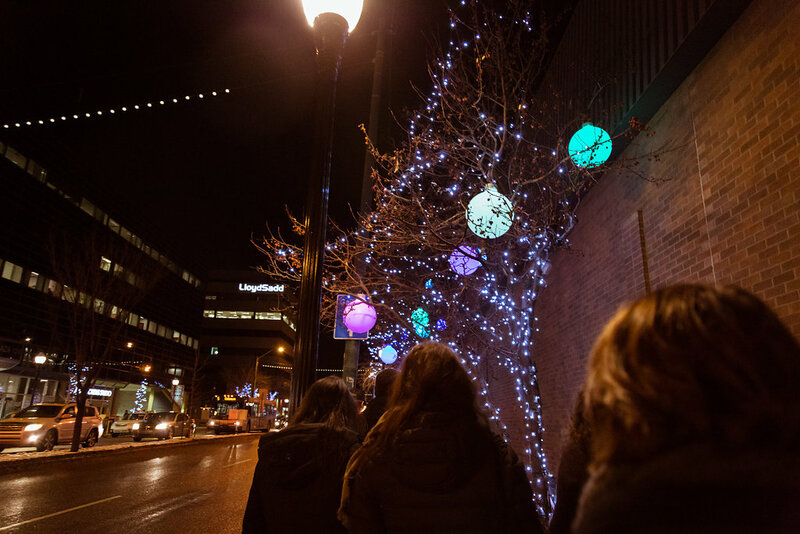 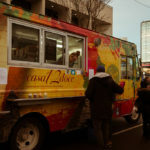 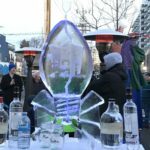 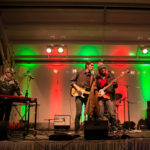 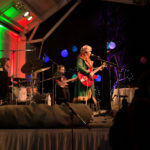 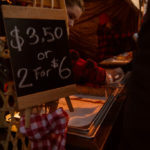 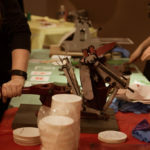 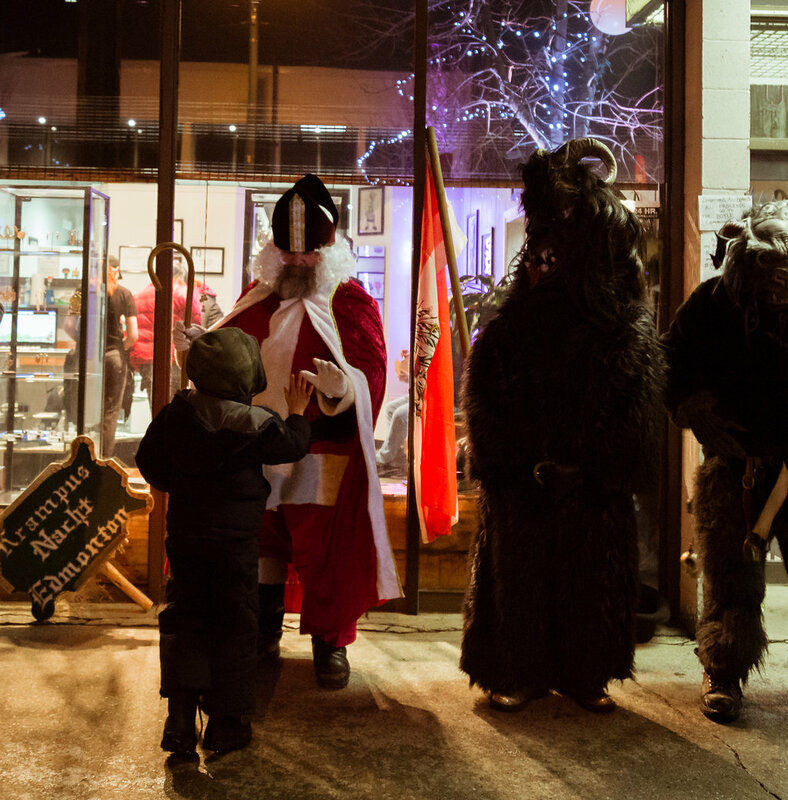 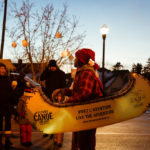 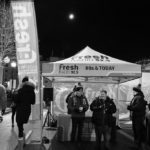 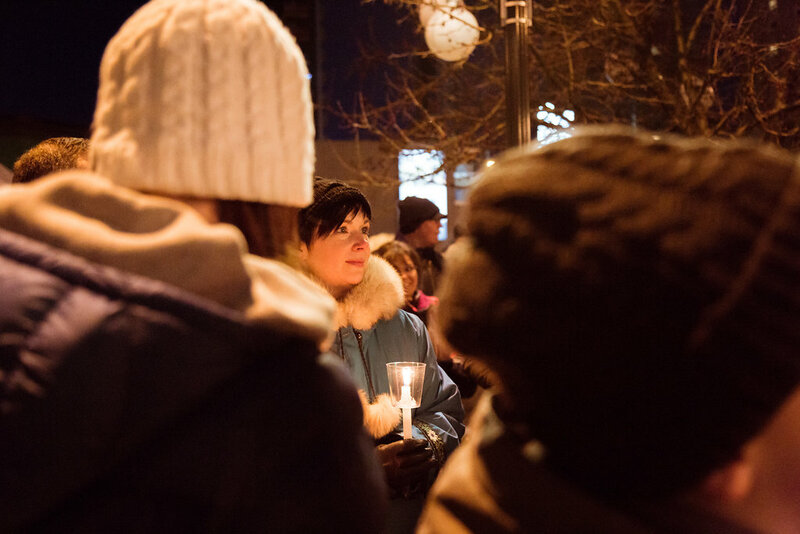 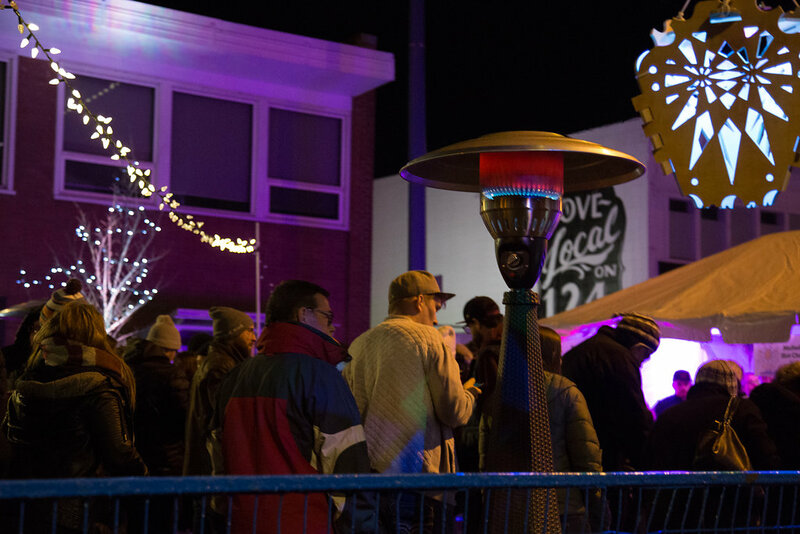 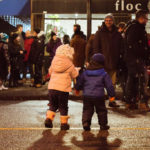 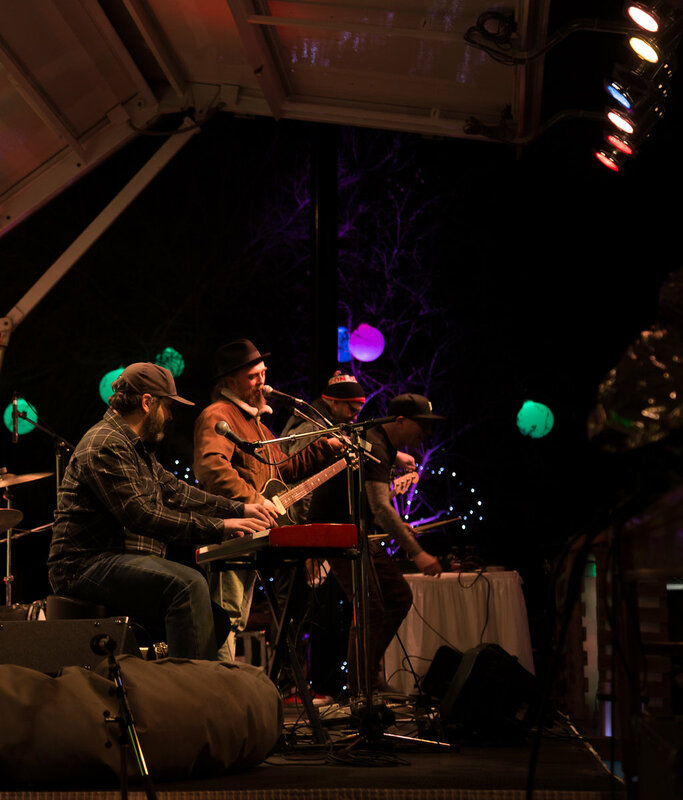 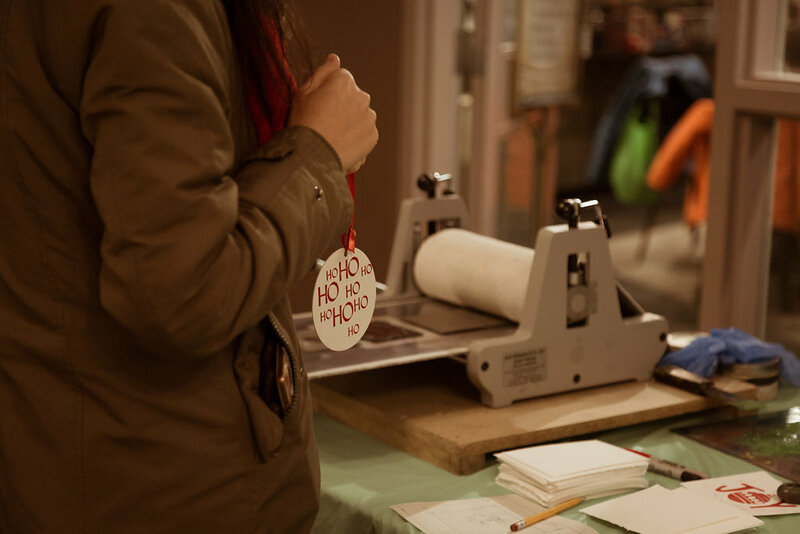 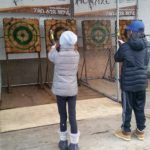 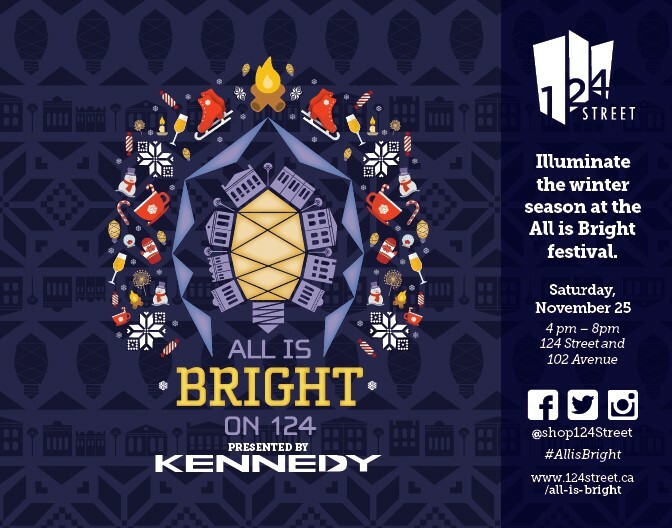 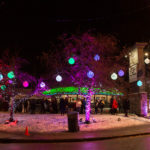 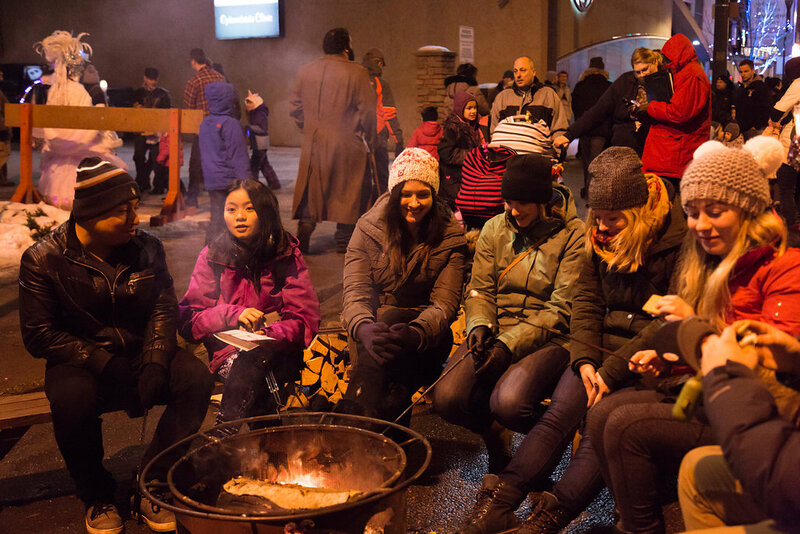 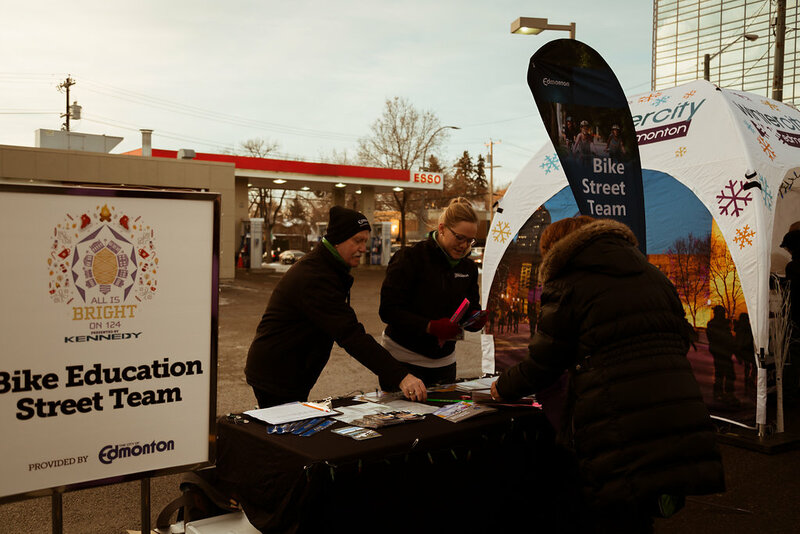 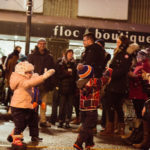 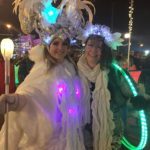 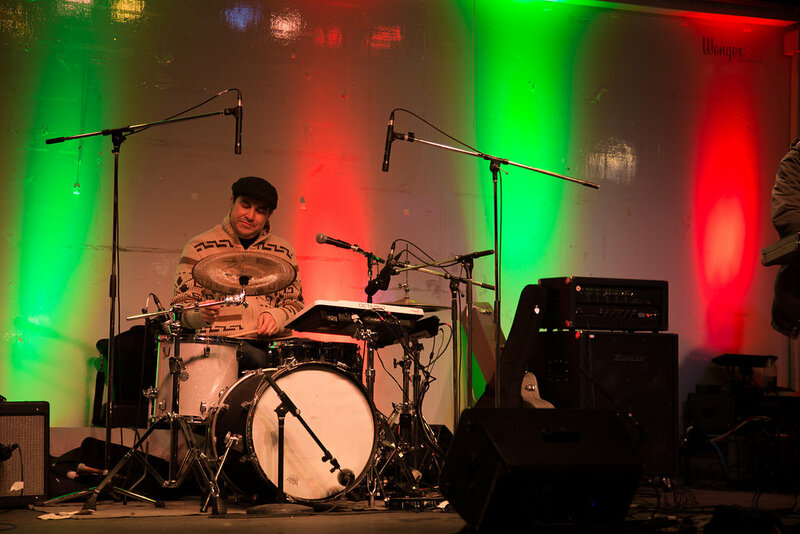 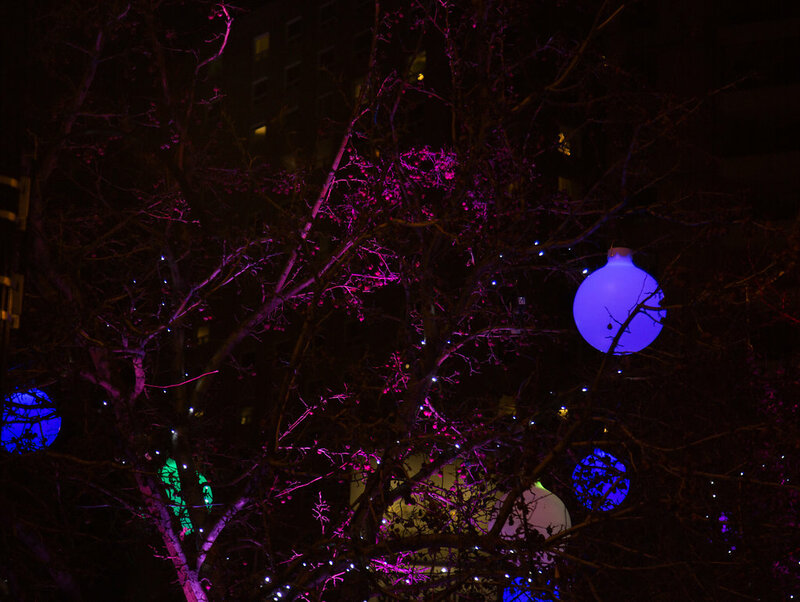 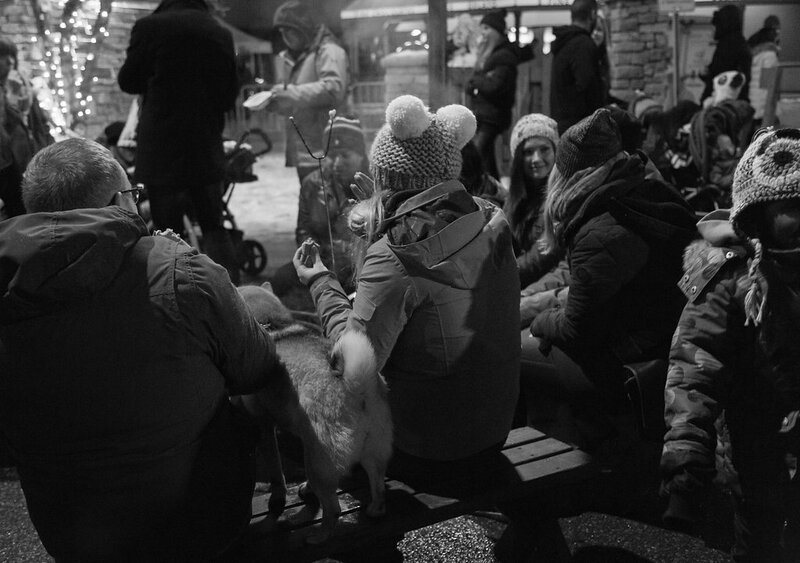 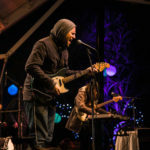 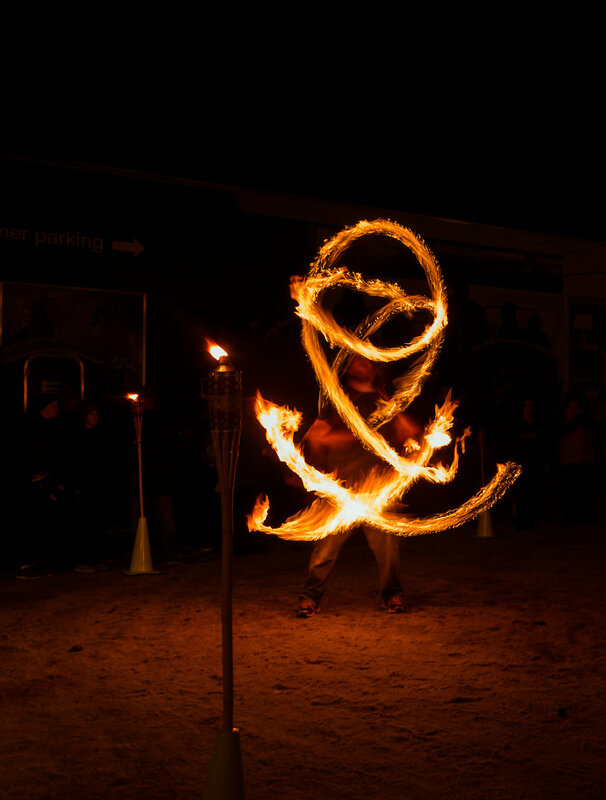 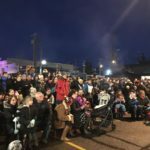 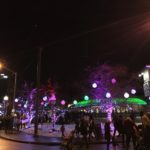 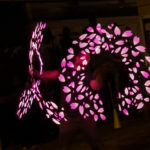 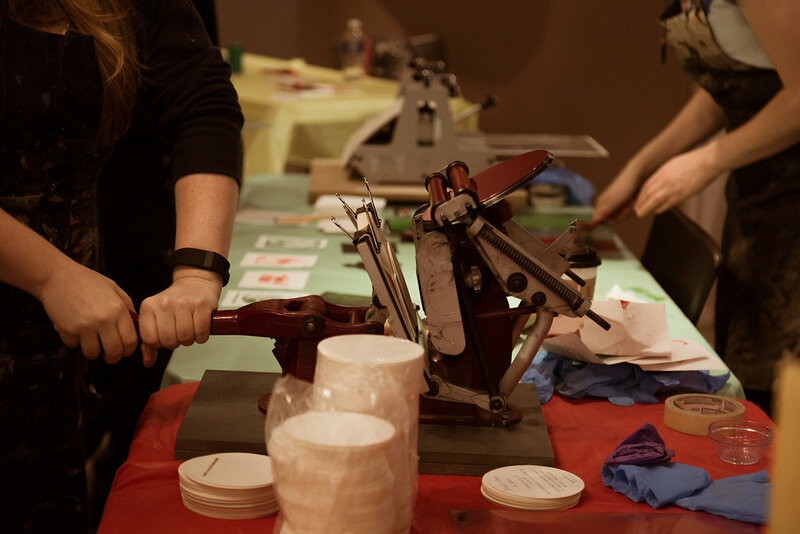 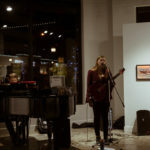 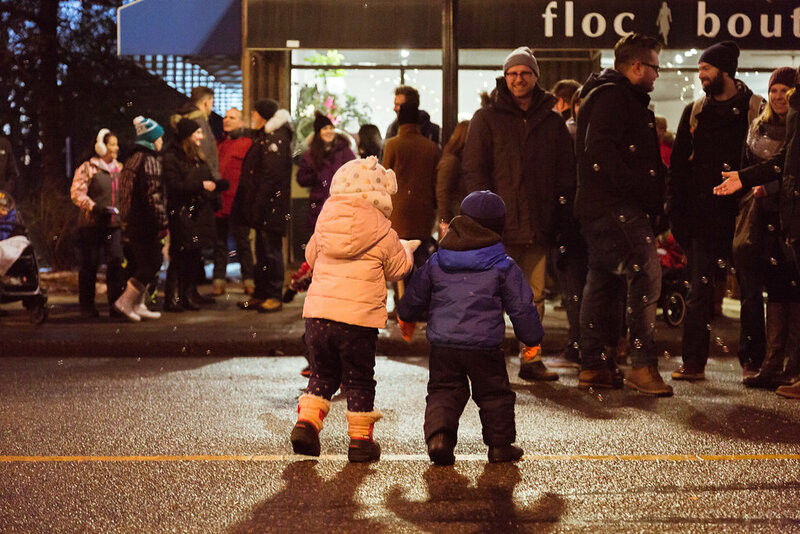 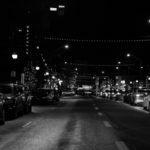 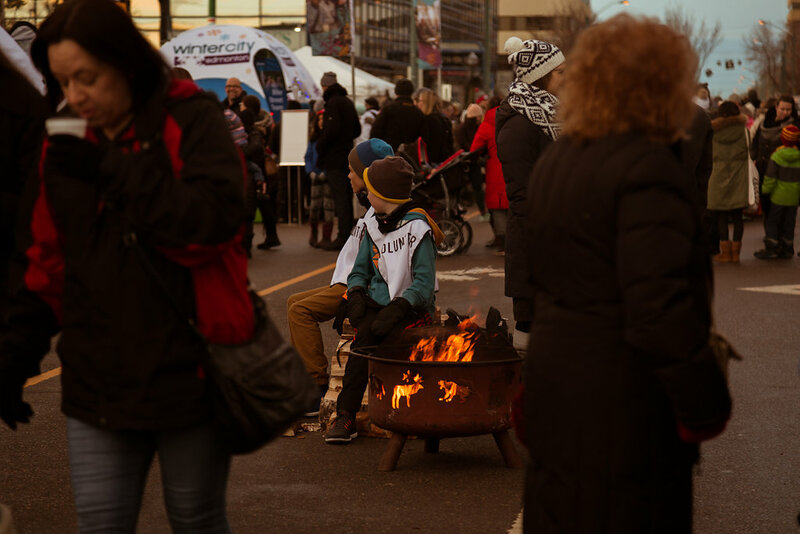 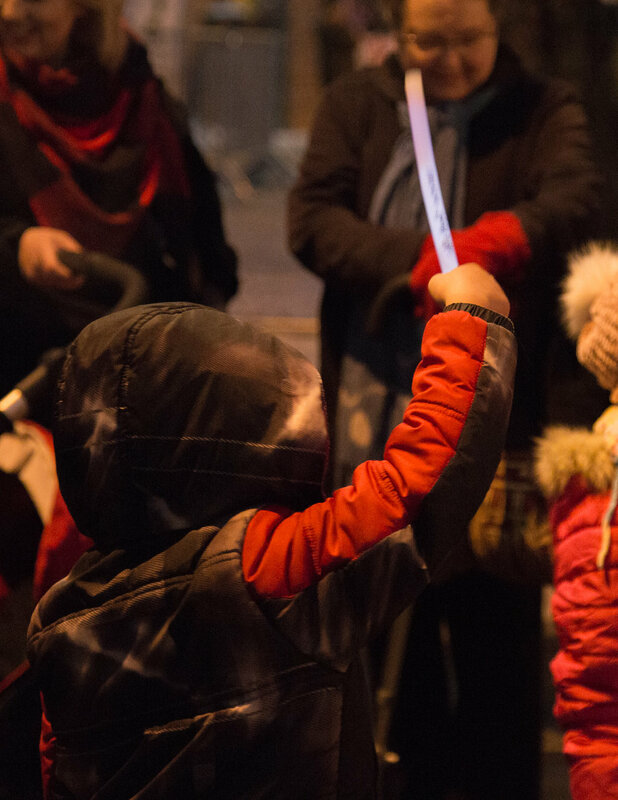 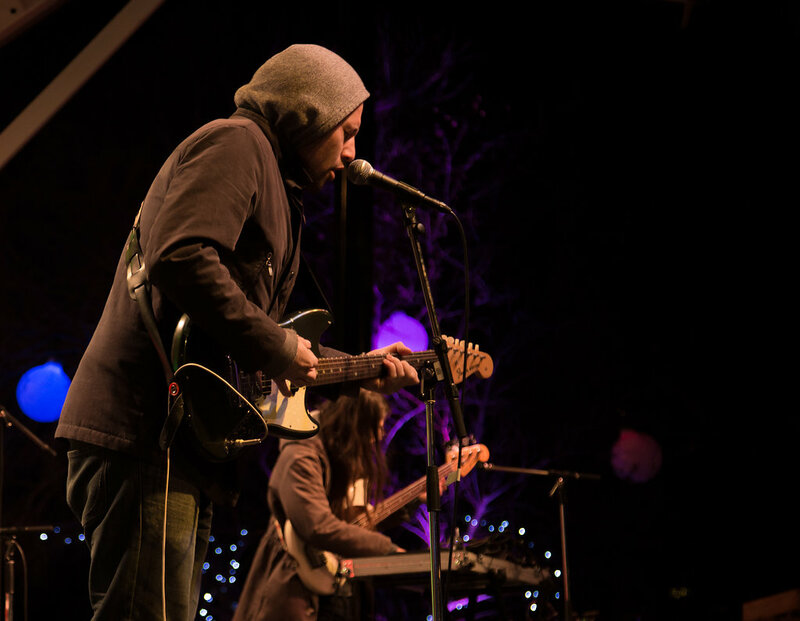 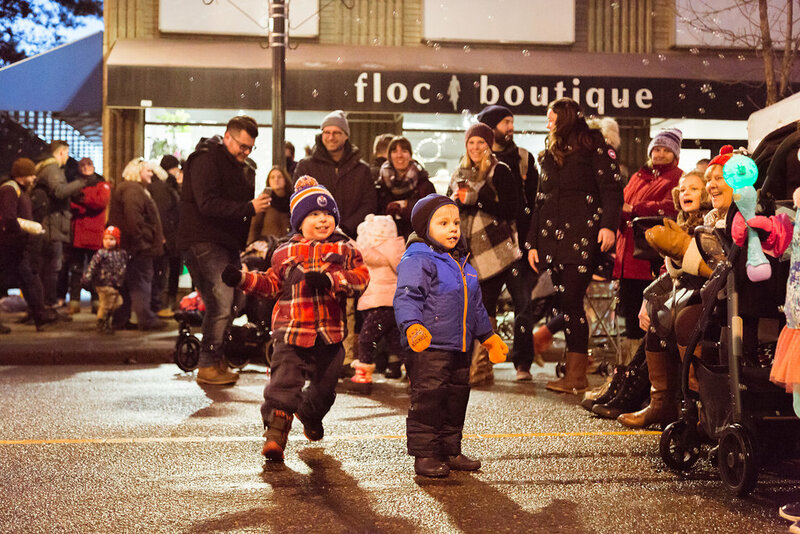 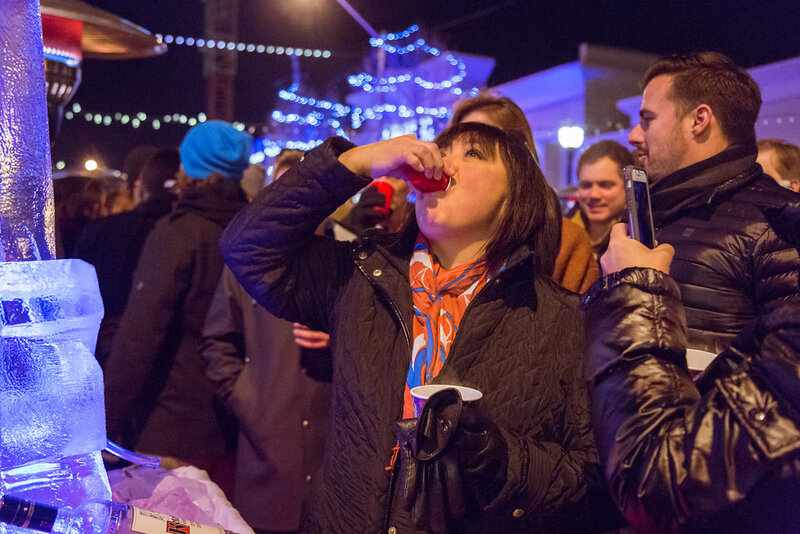 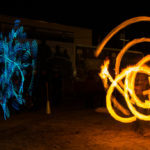 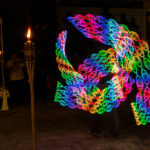 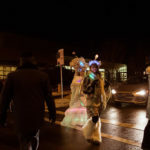 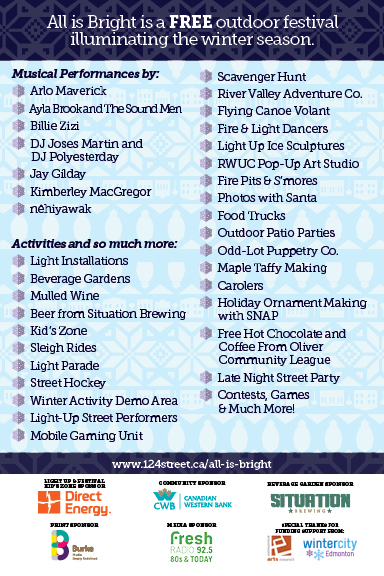 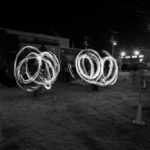 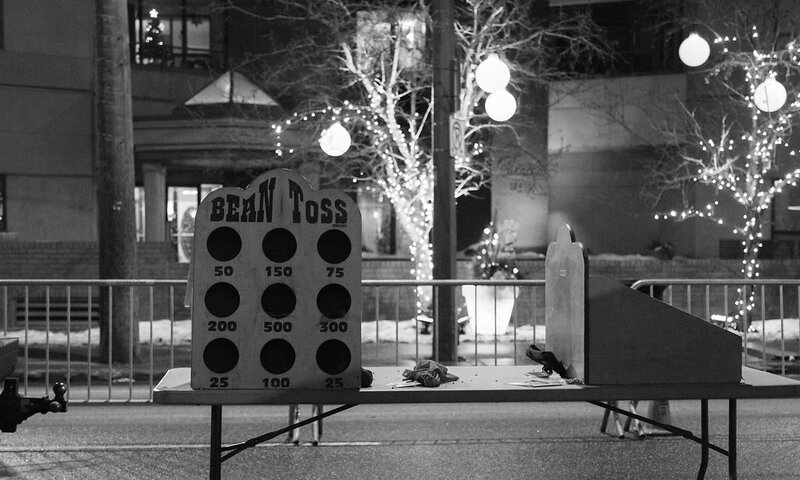 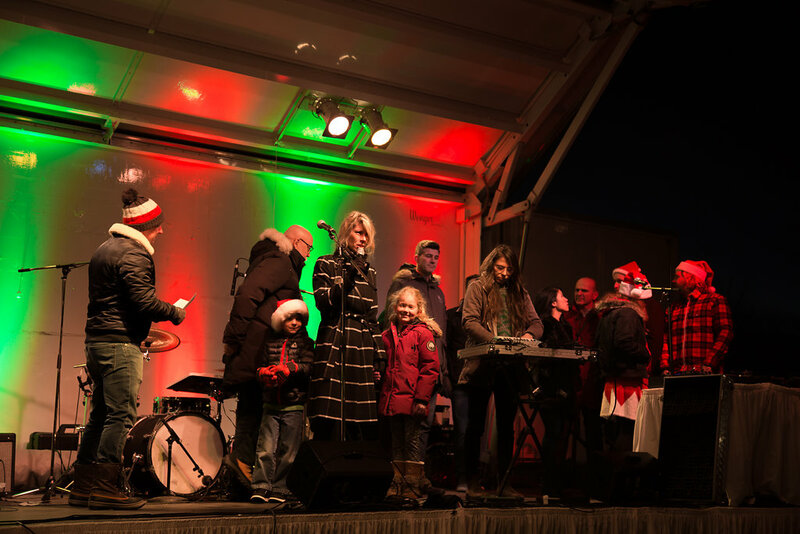 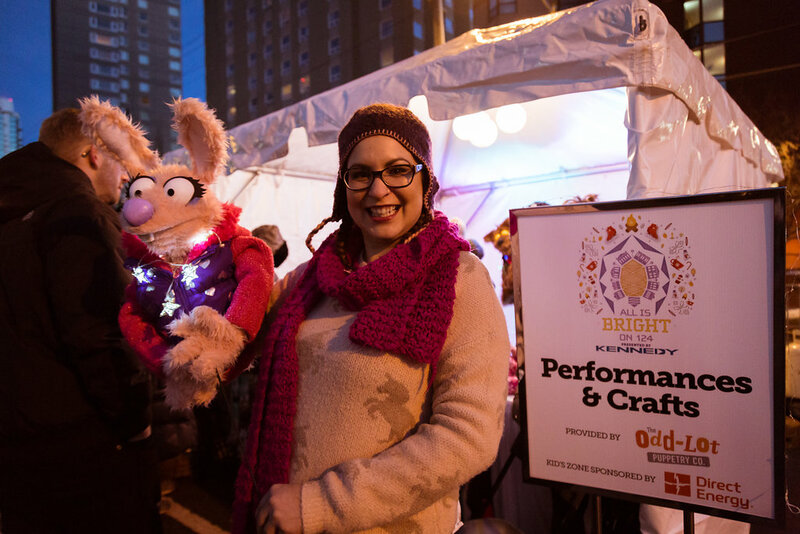 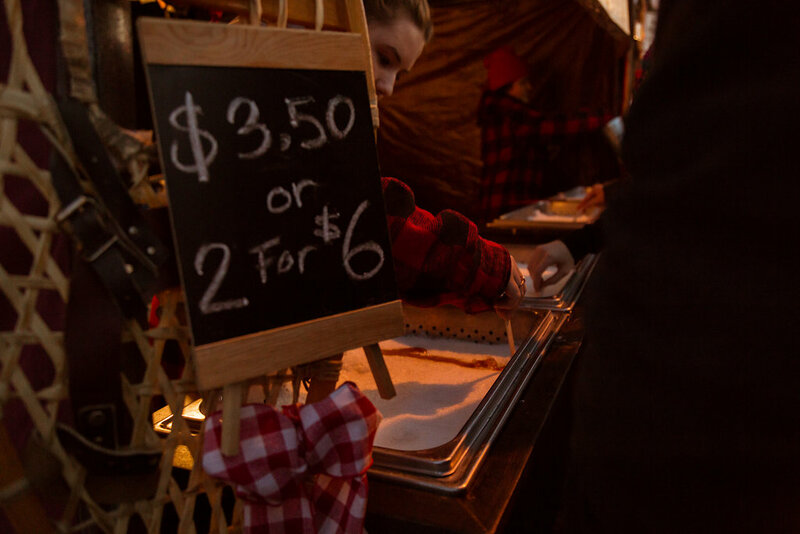 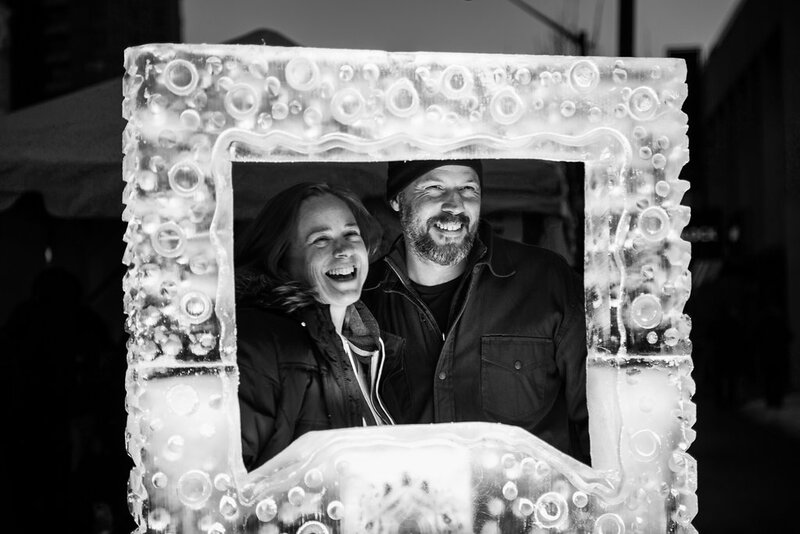 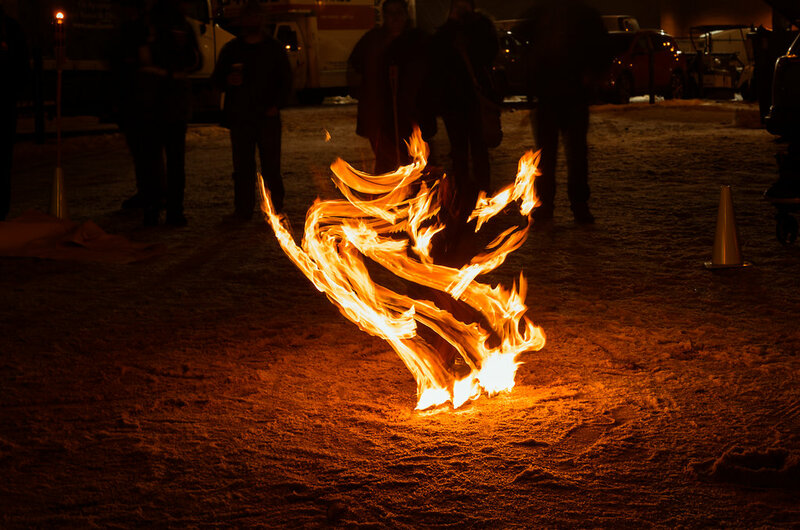 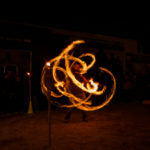 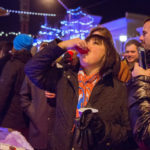 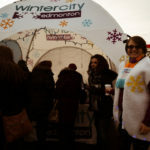 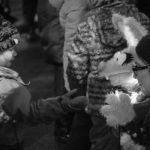 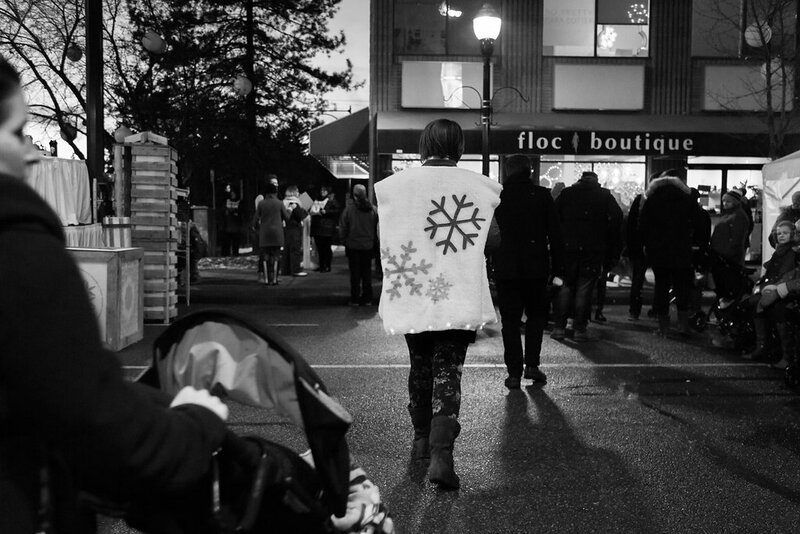 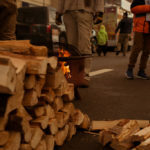 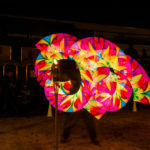 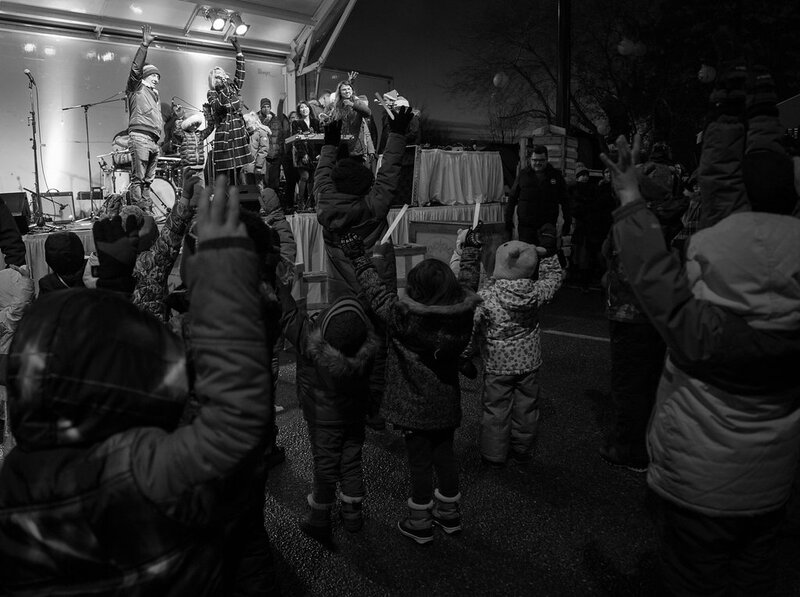 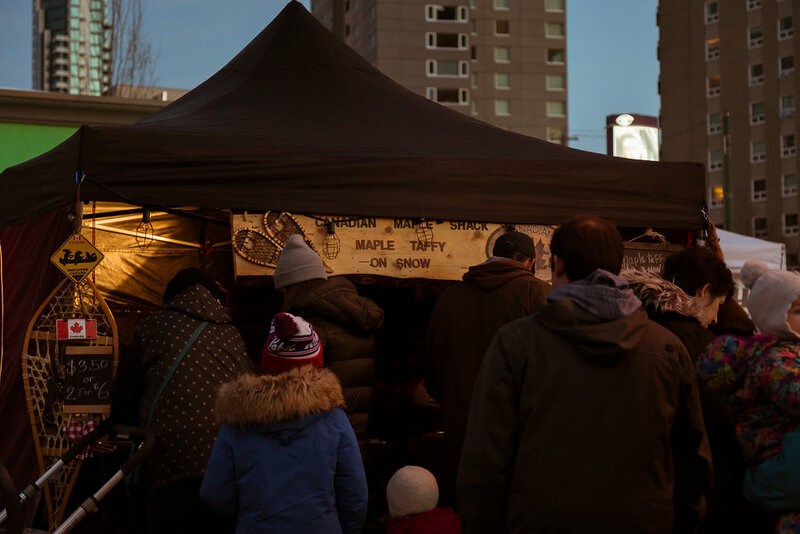 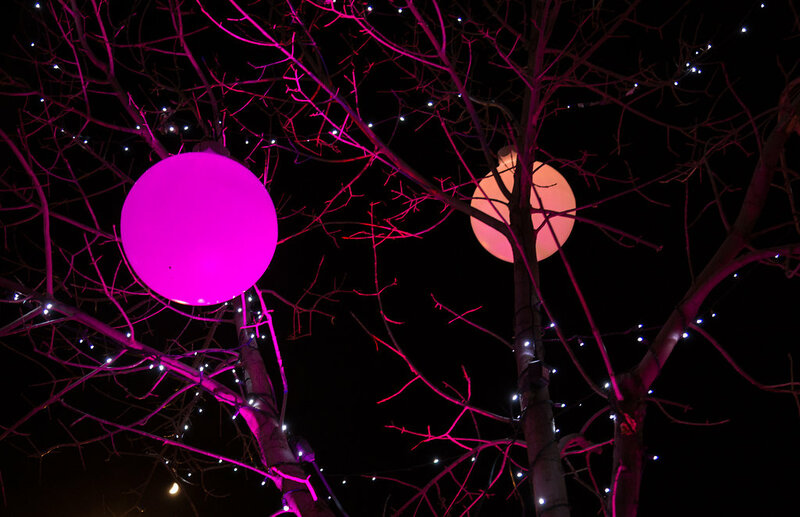 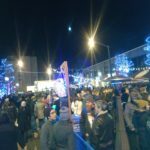 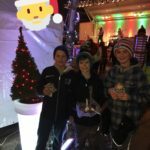 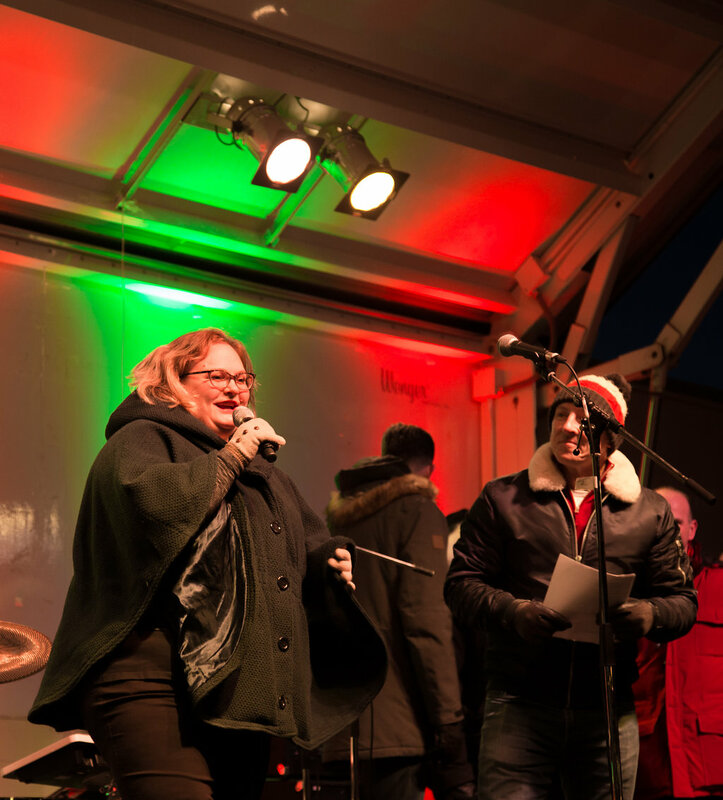 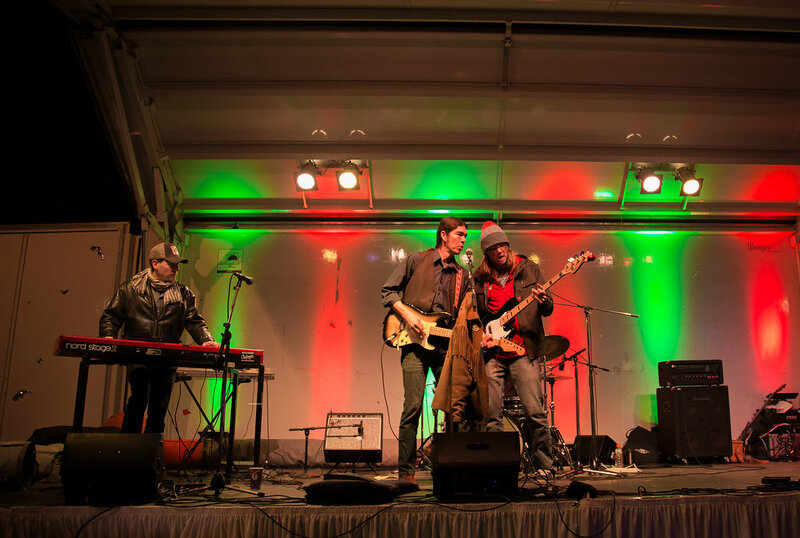 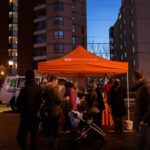 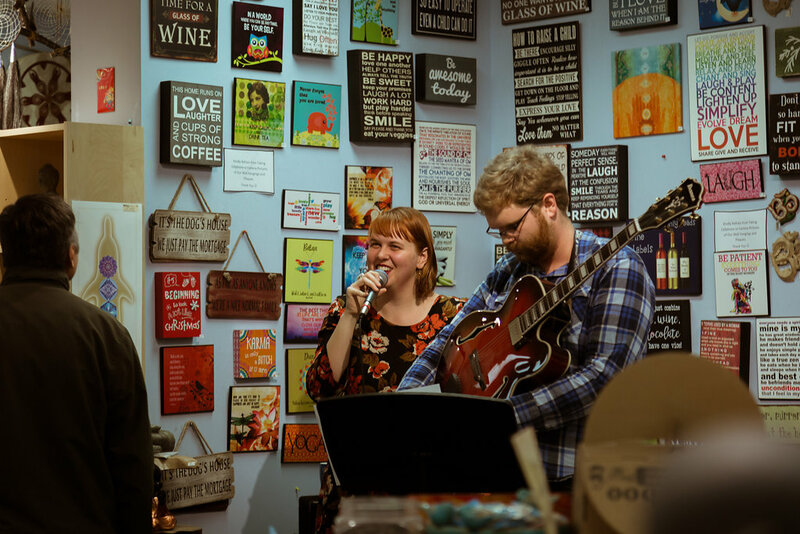 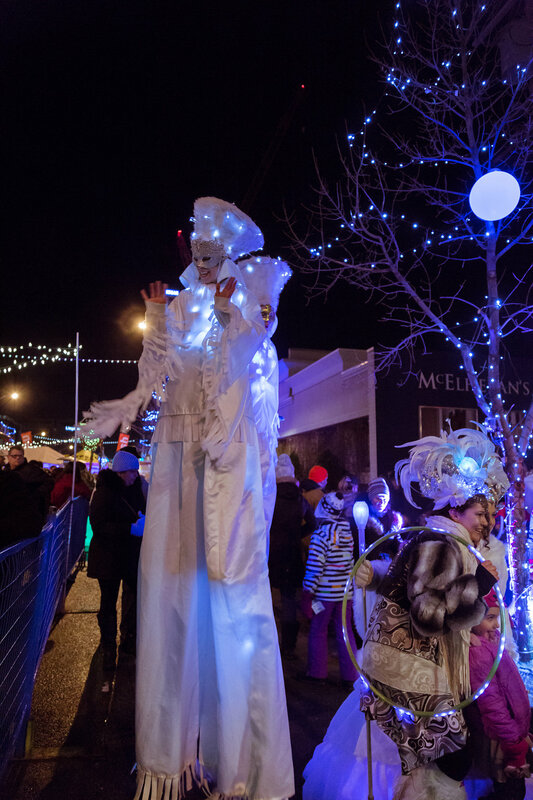 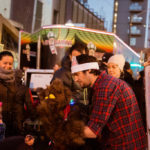 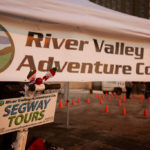 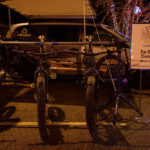 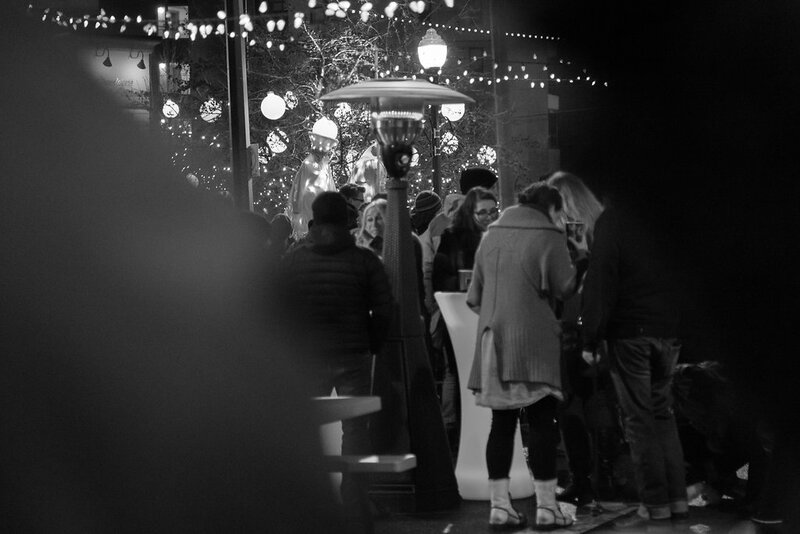 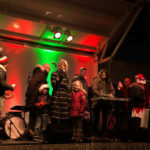 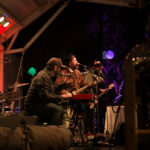 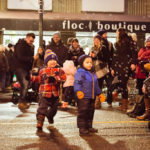 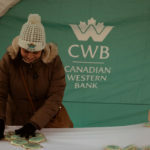 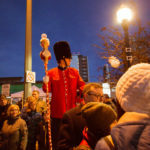 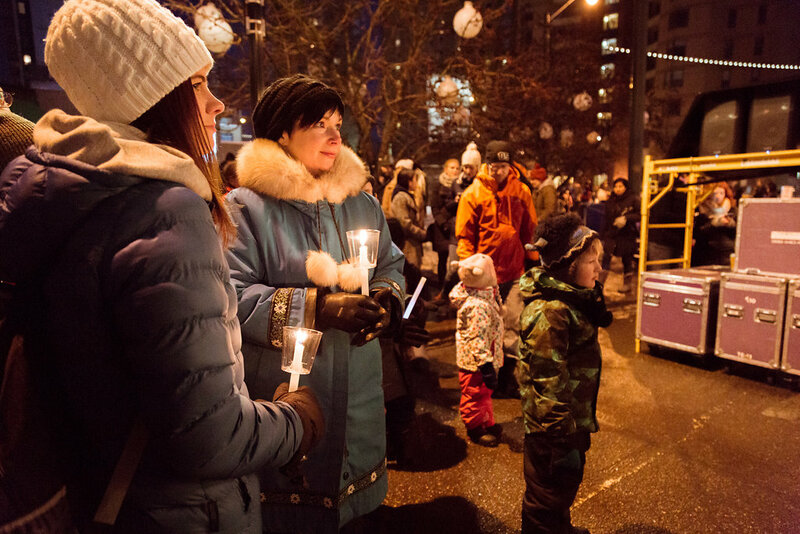 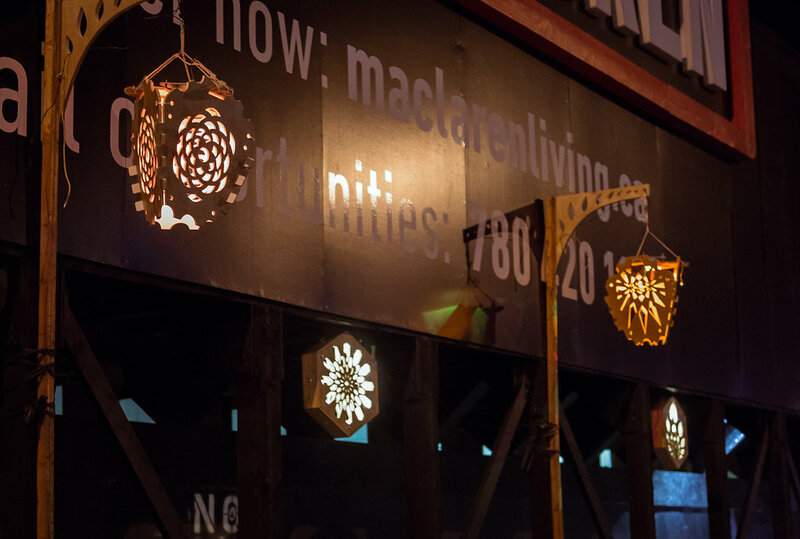 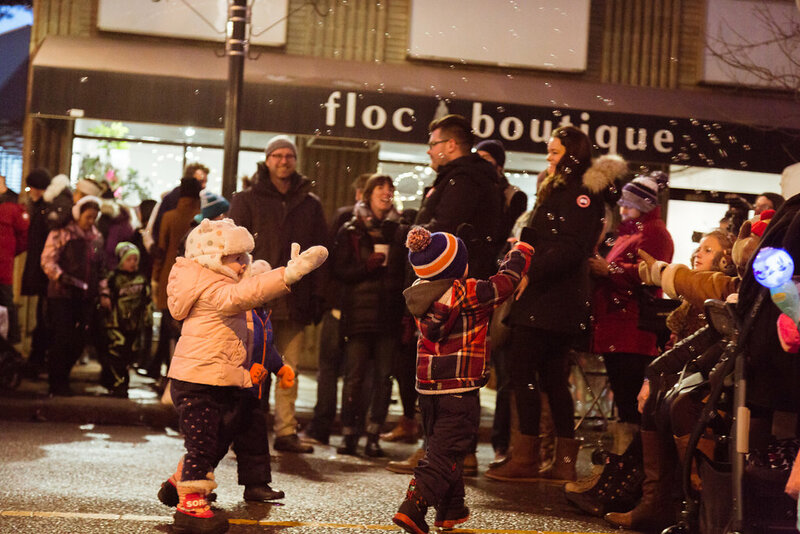 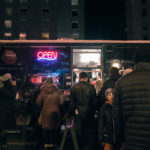 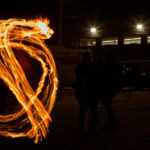 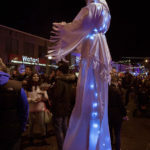 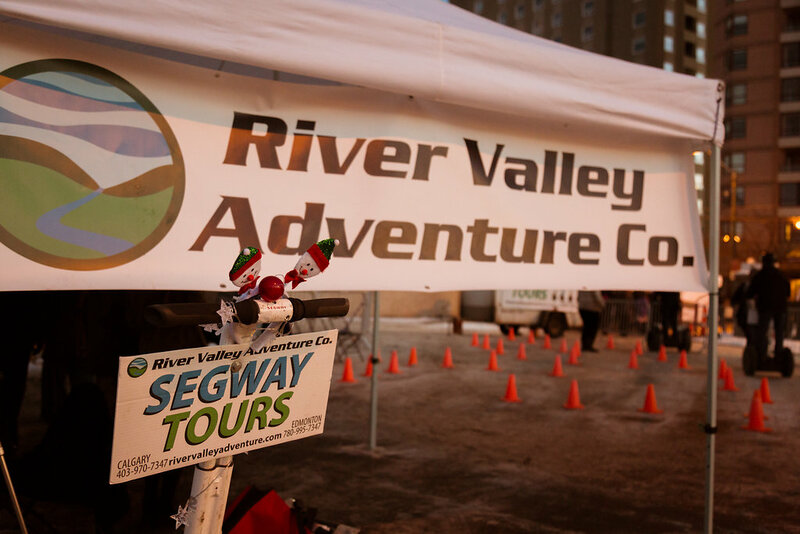 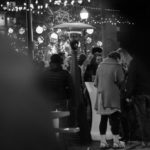 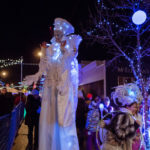 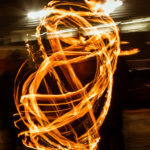 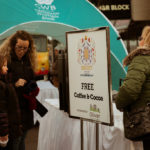 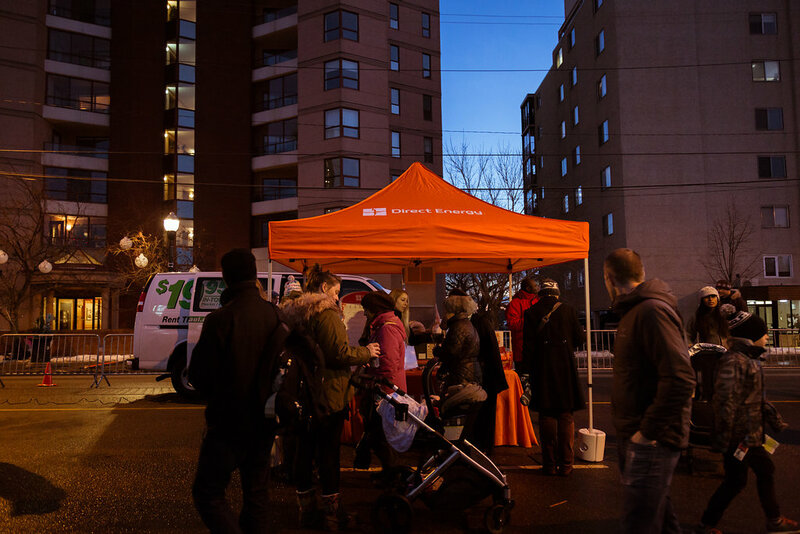 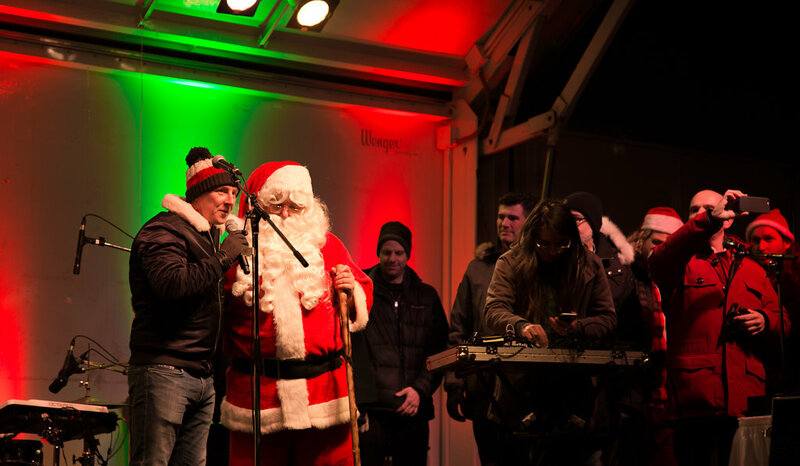 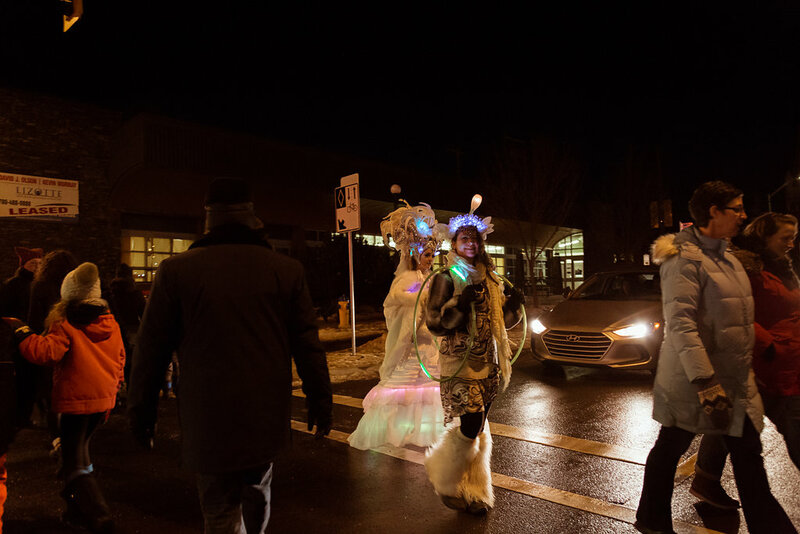 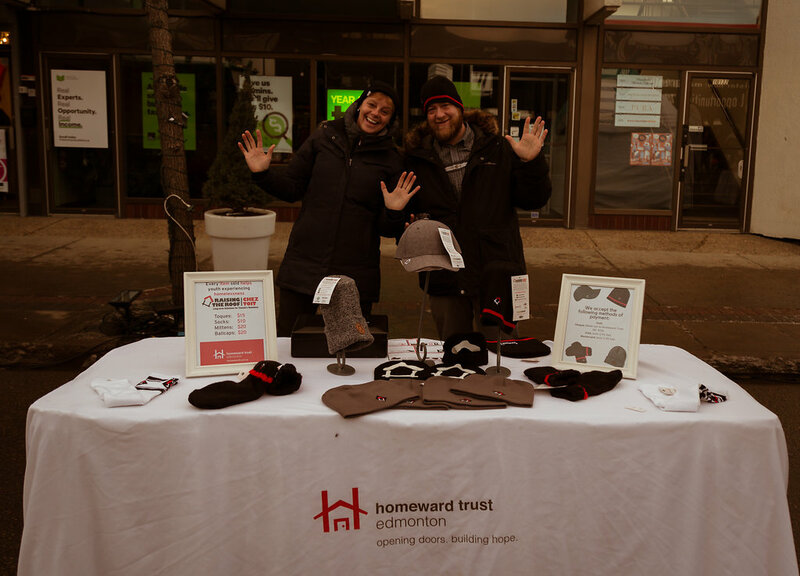 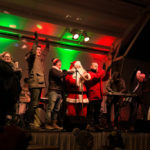 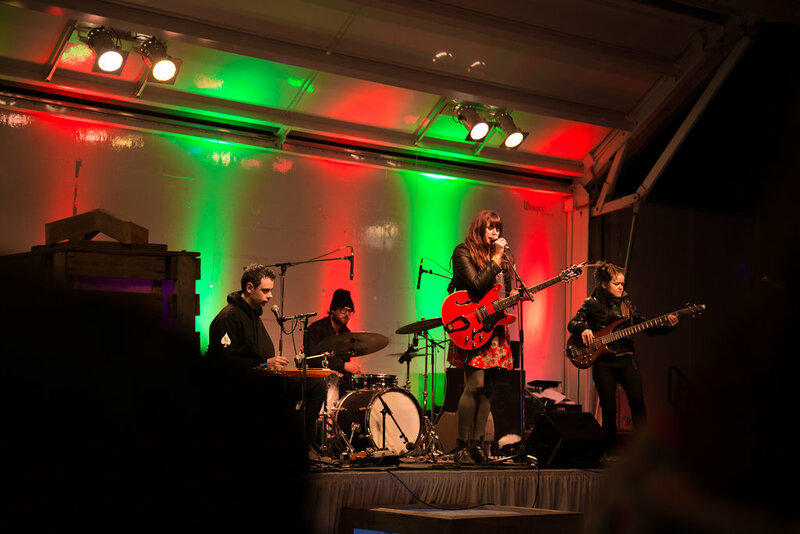 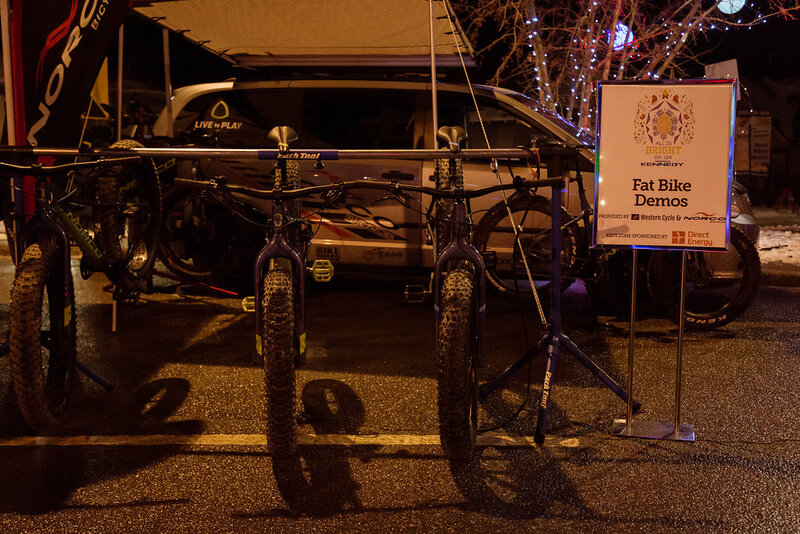 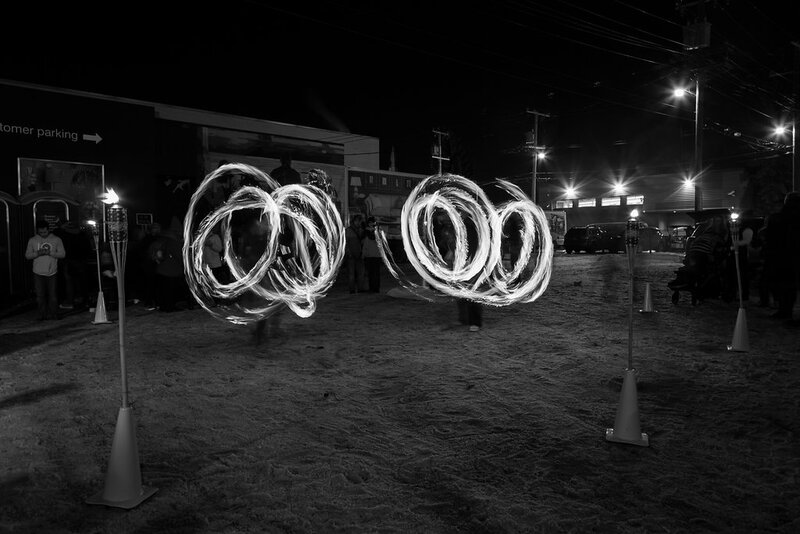 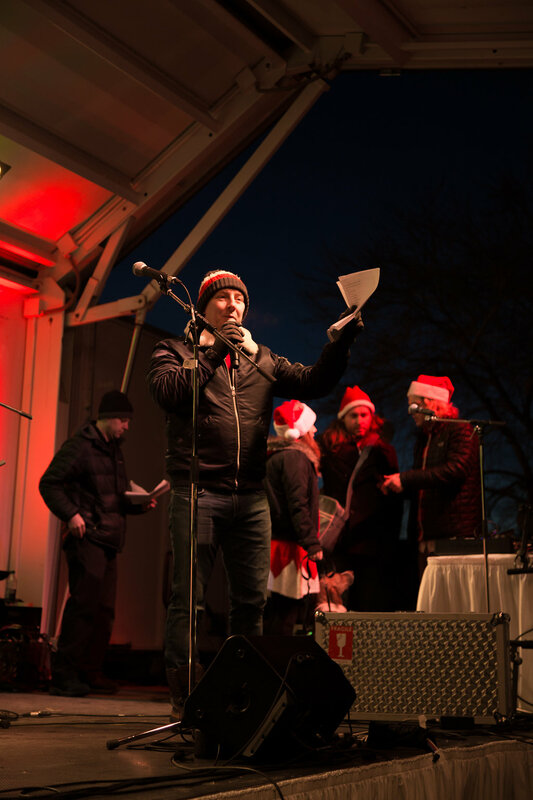 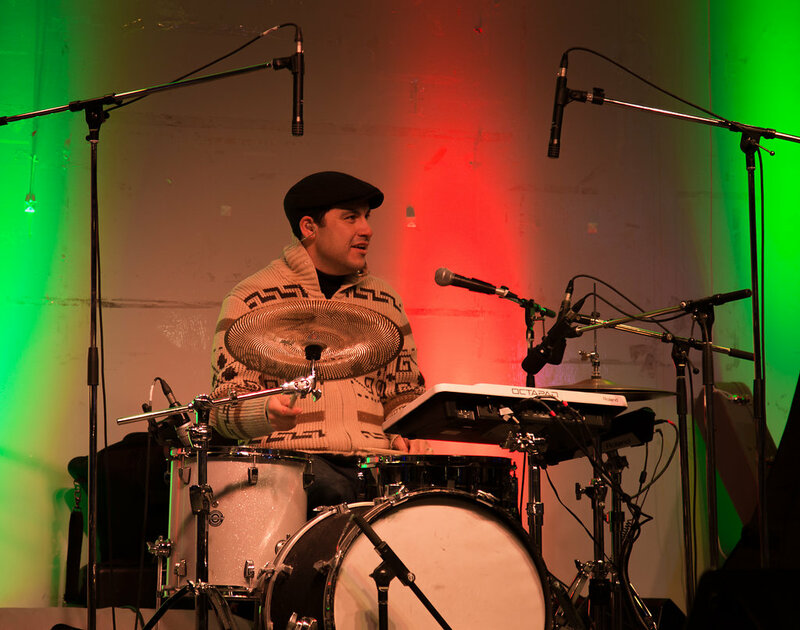 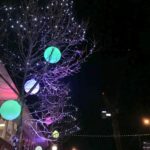 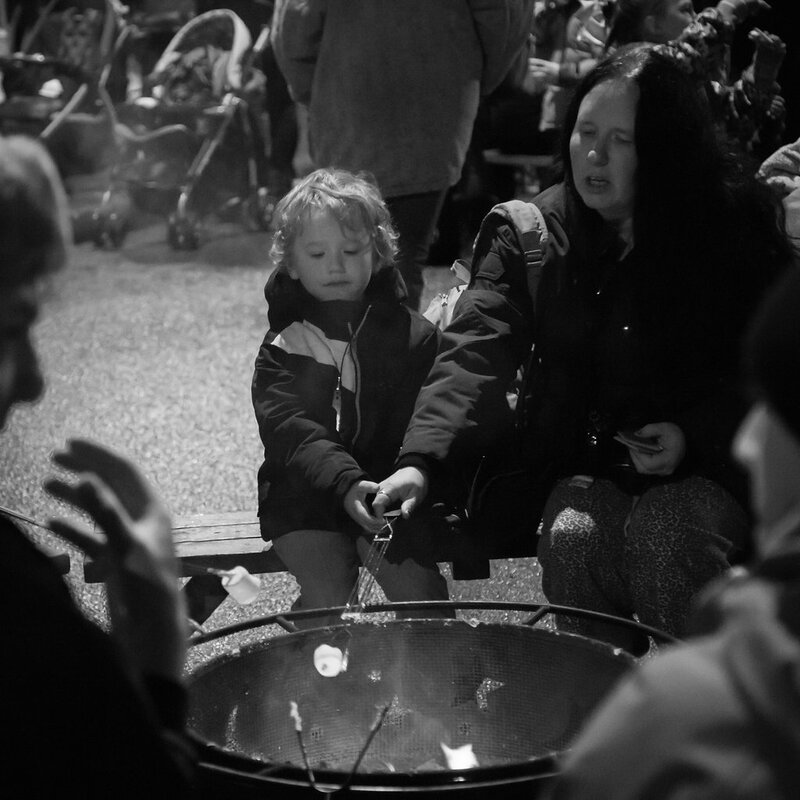 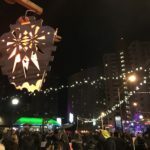 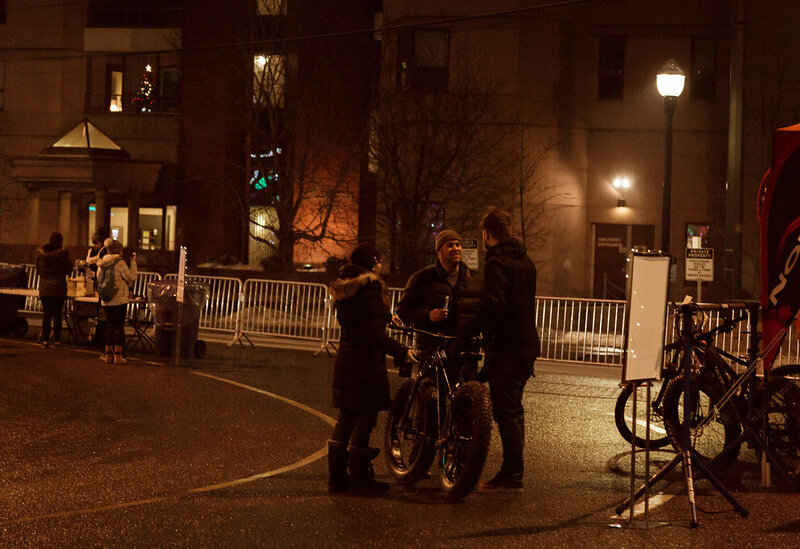 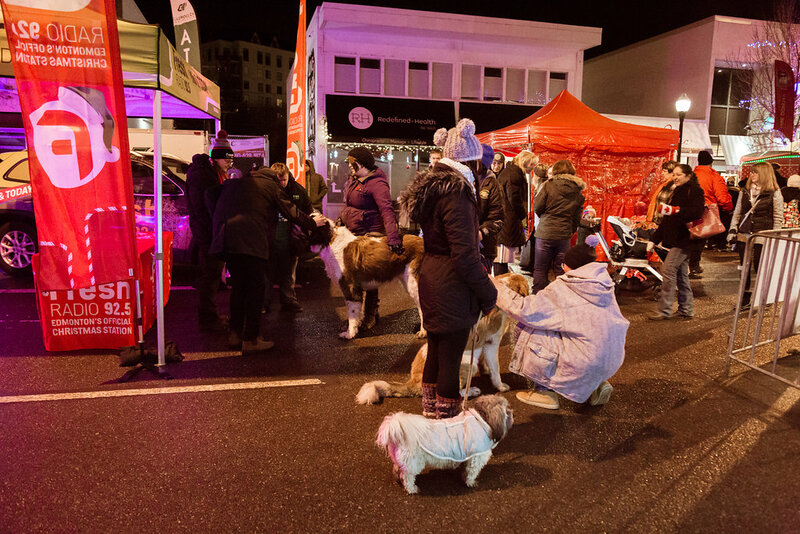 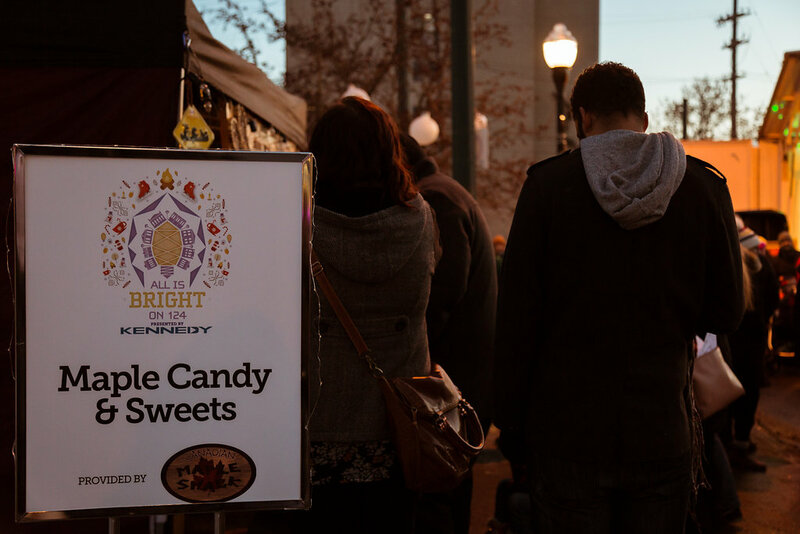 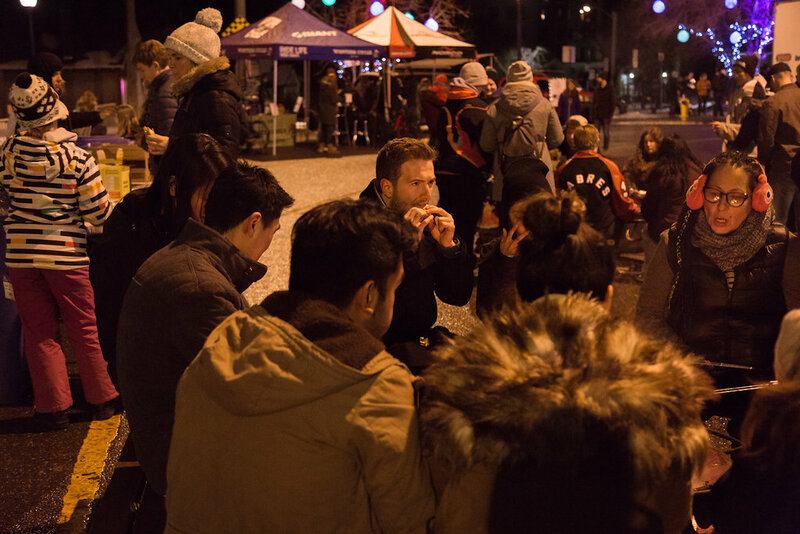 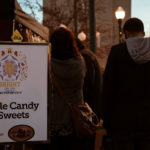 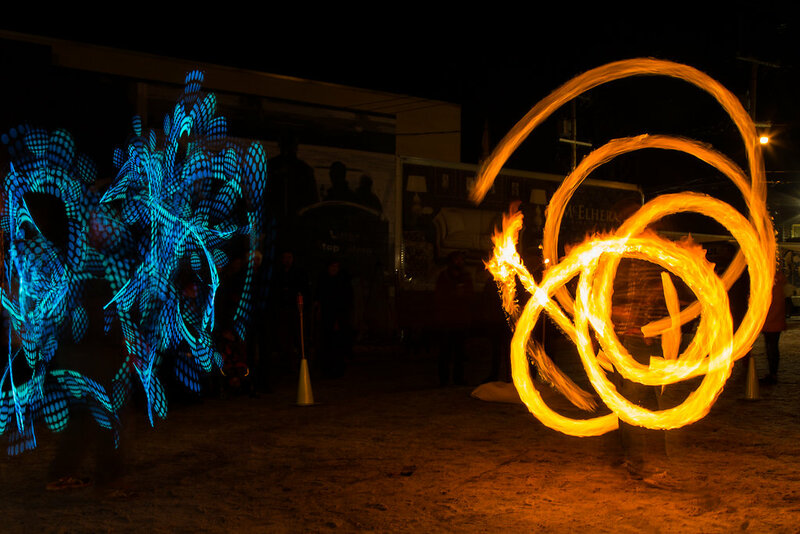 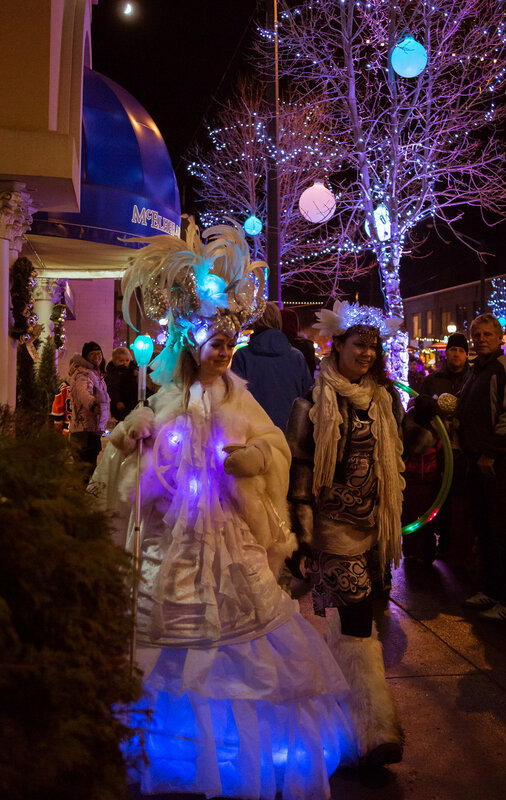 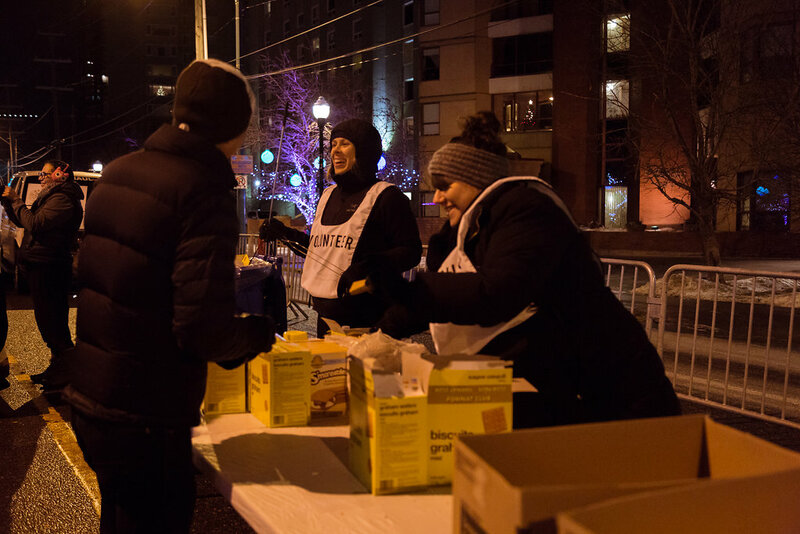 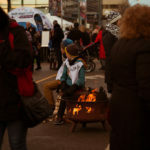 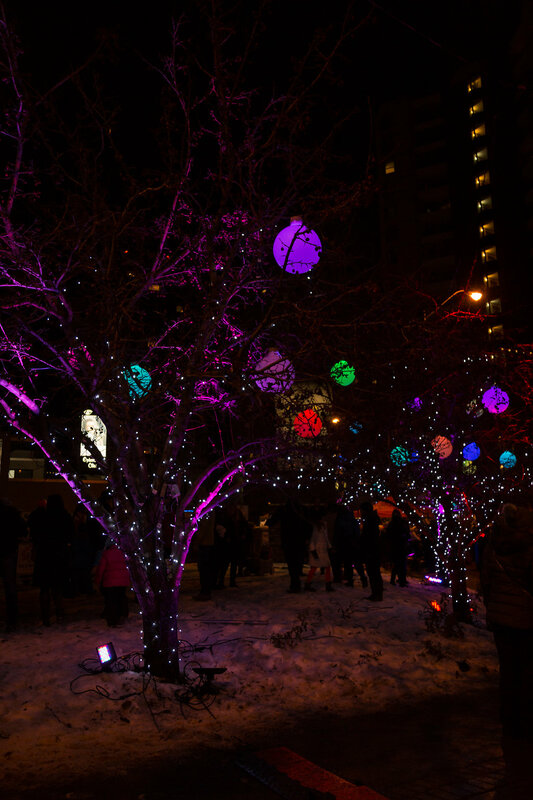 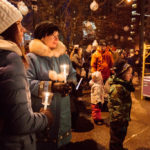 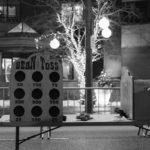 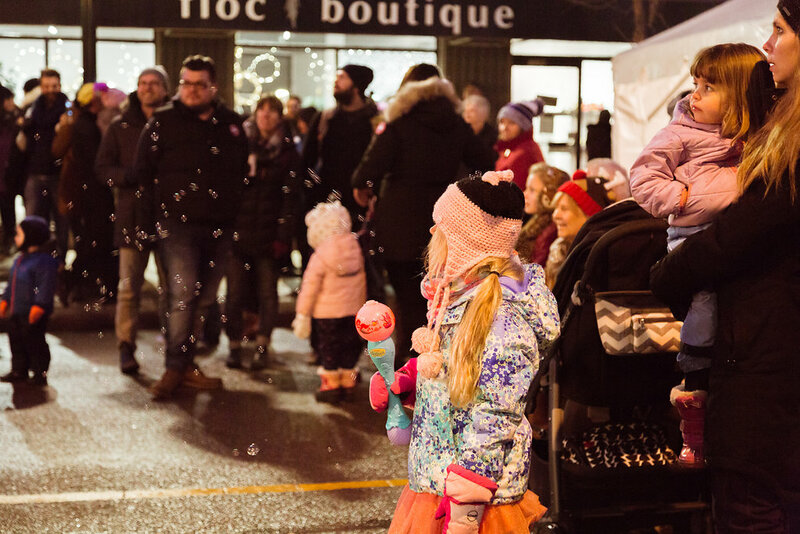 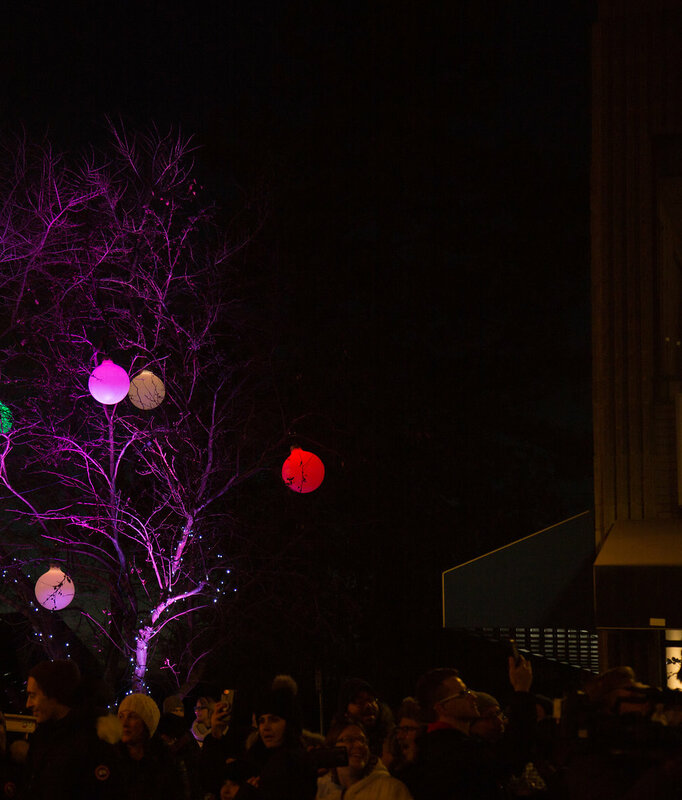 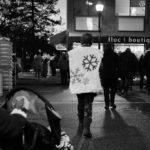 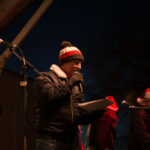 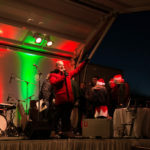 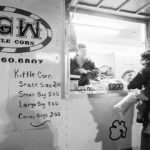 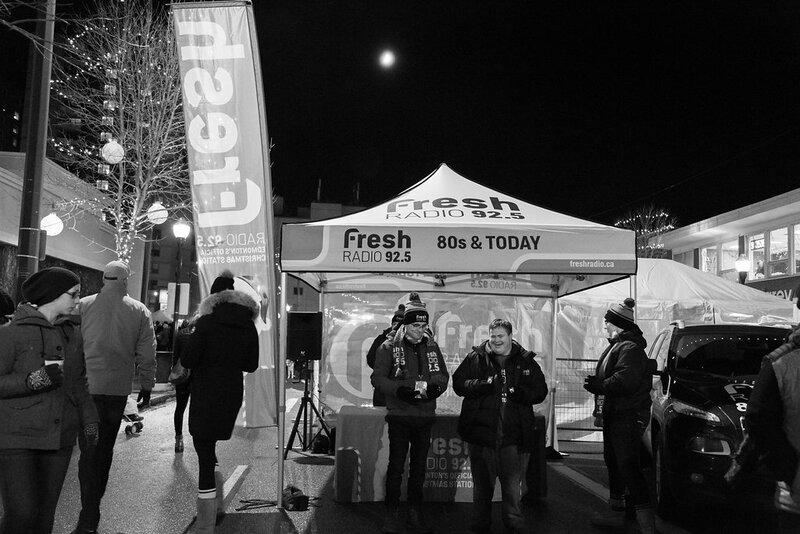 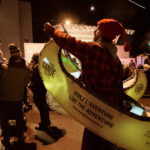 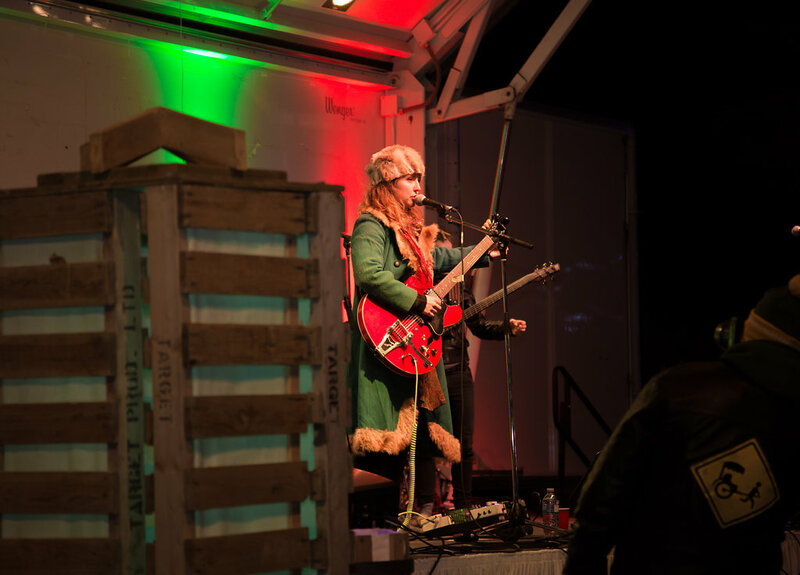 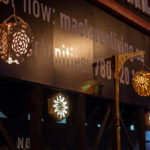 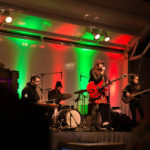 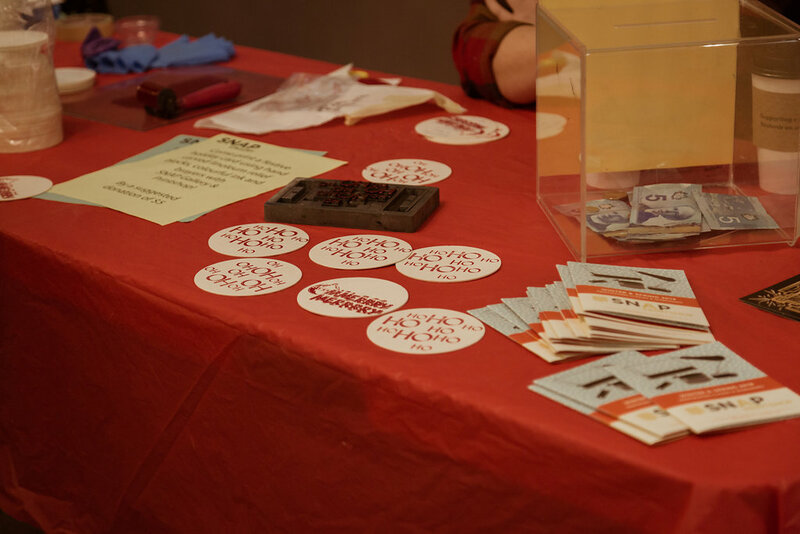 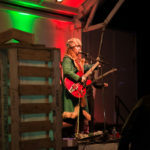 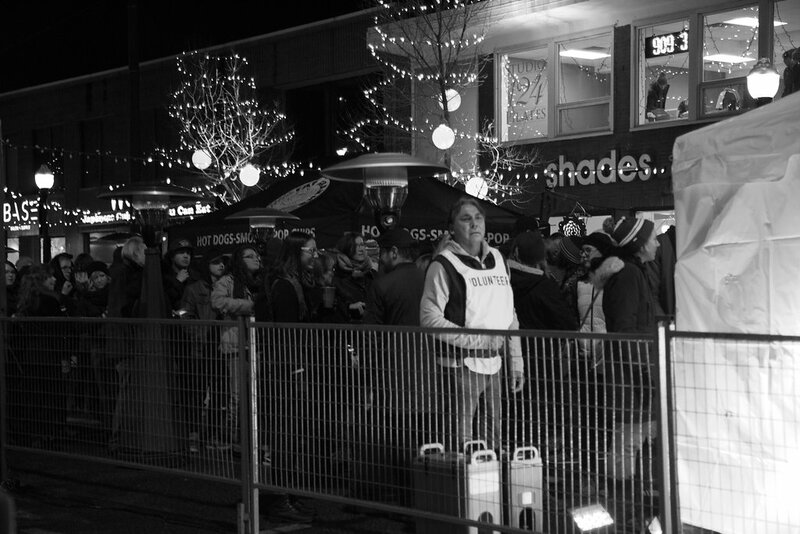 On Saturday, November 25th, 2017 the 124 Street Business Association hosted their 5th annual ‘All is Bright‘ winter festival, welcoming 10,000+ festival go-ers to the area. 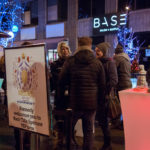 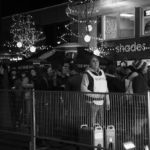 This year proved to be the highest attended festival to date for the Business Association. 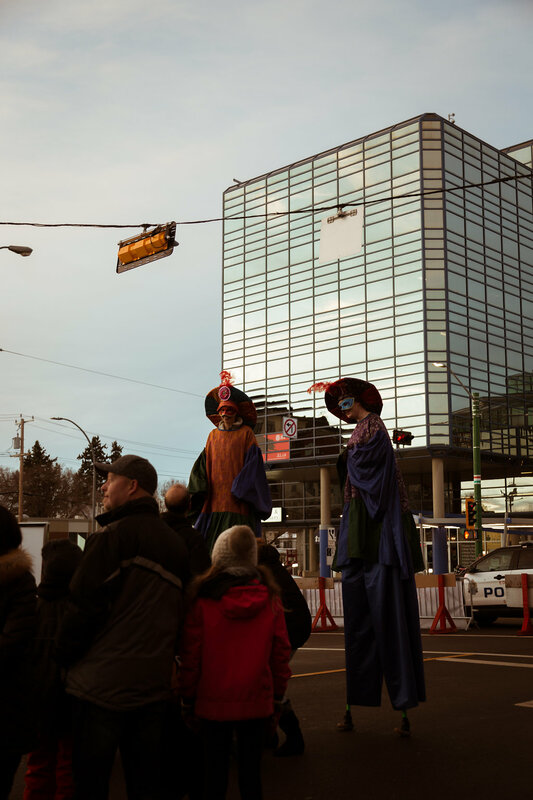 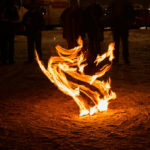 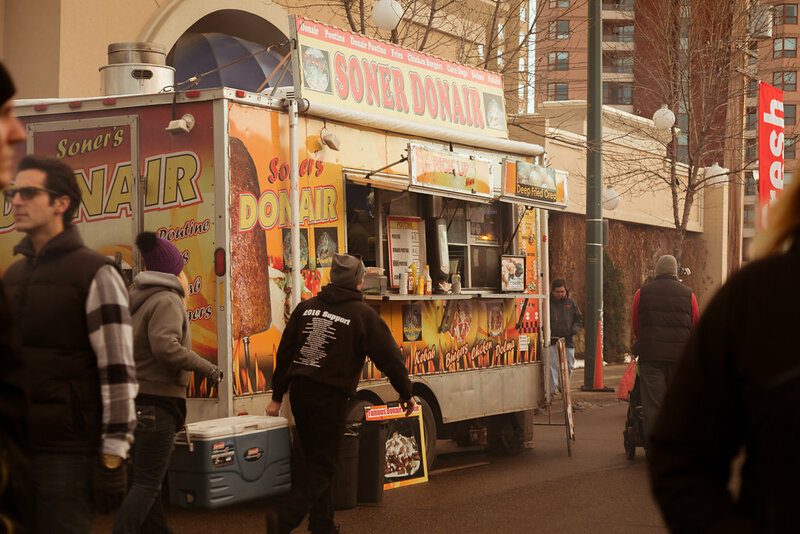 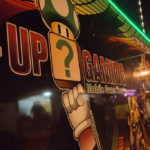 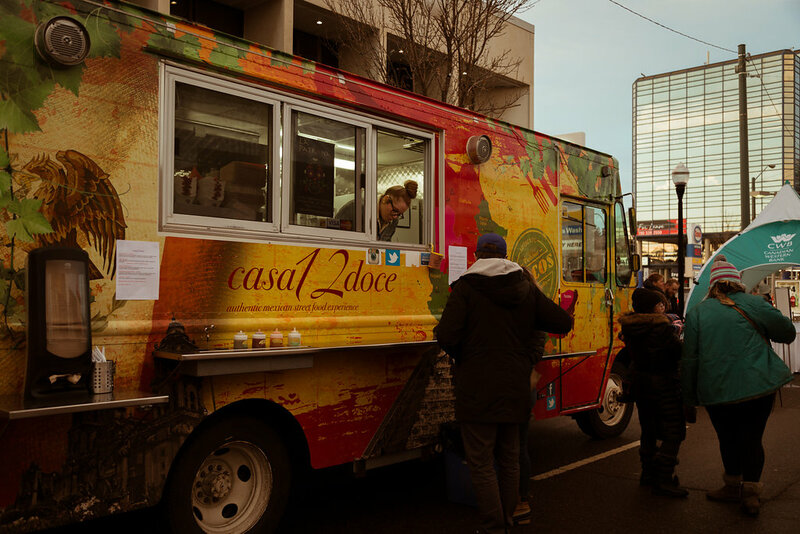 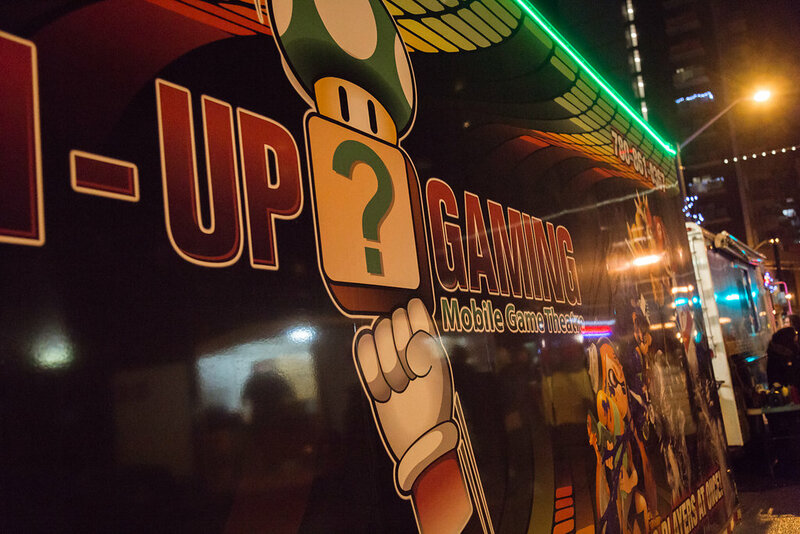 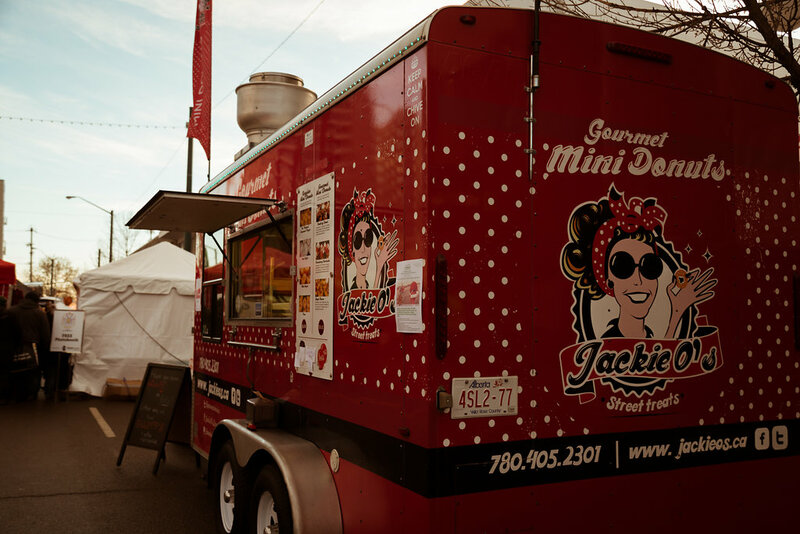 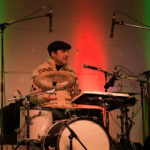 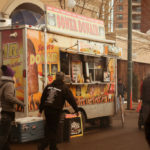 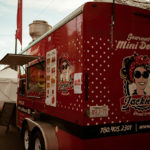 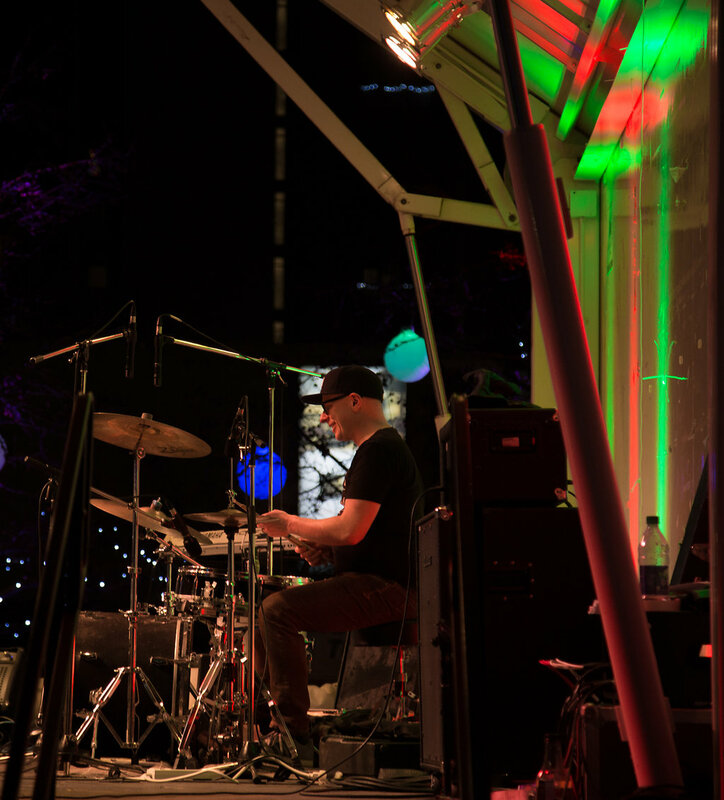 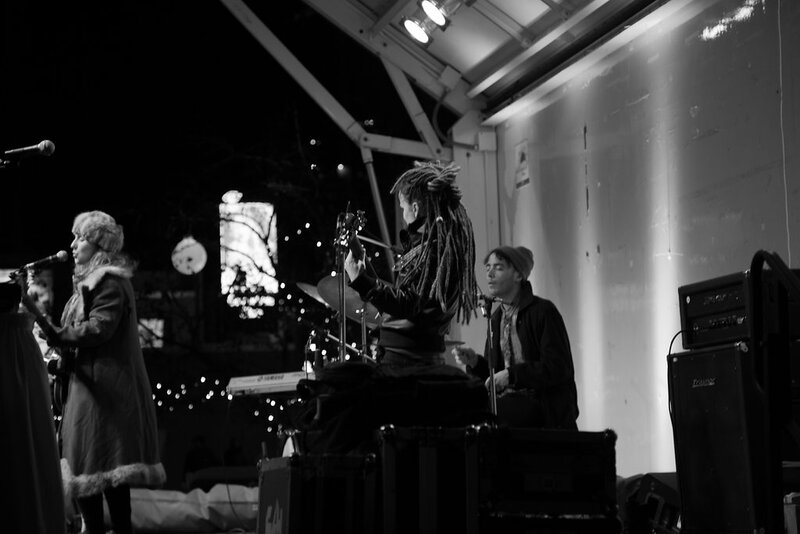 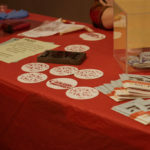 The festival’s main site was located on 124 Street and 102 Avenue, and extended to 123 Street and Jasper Avenue. 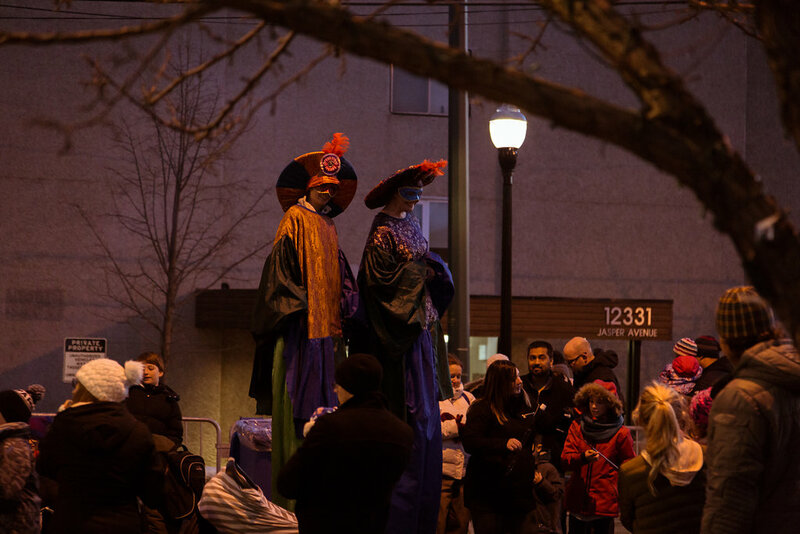 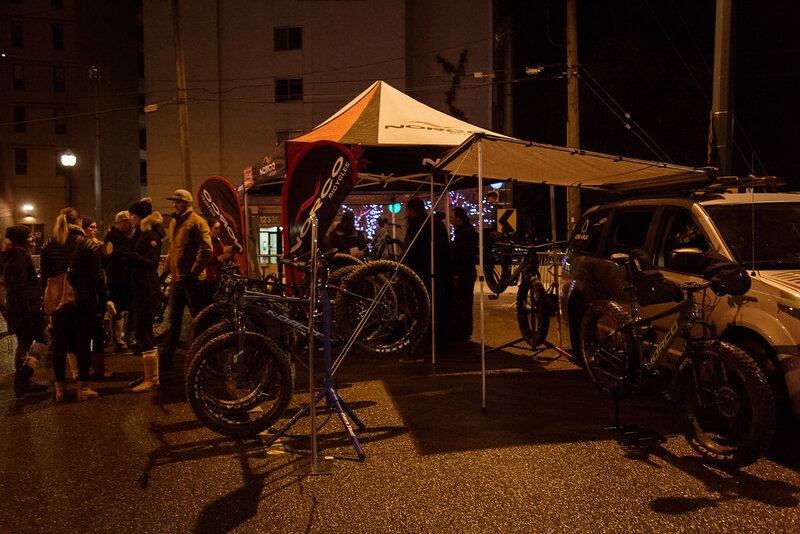 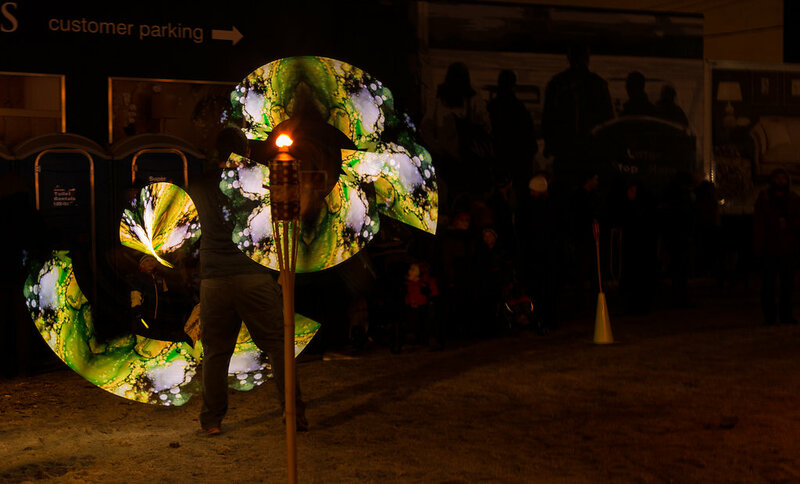 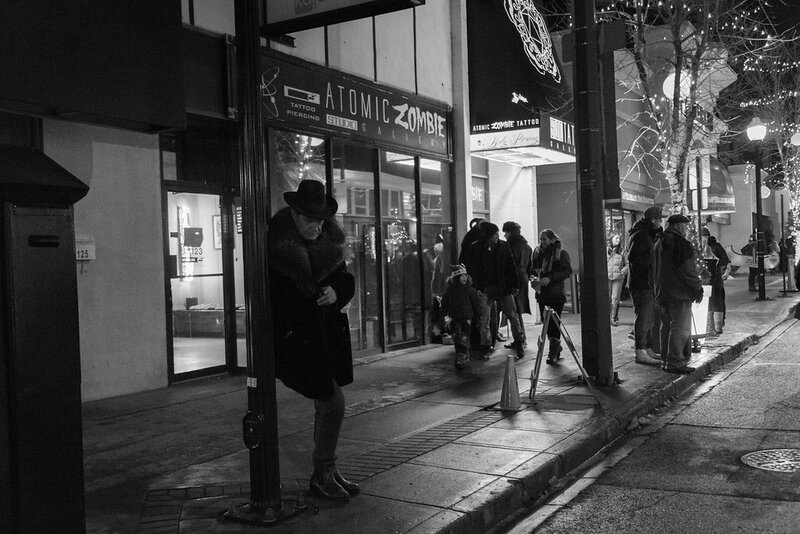 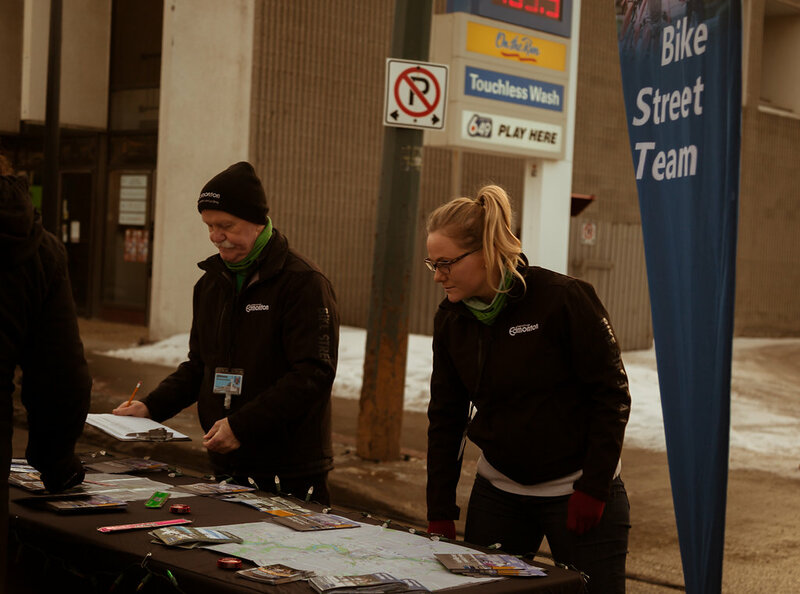 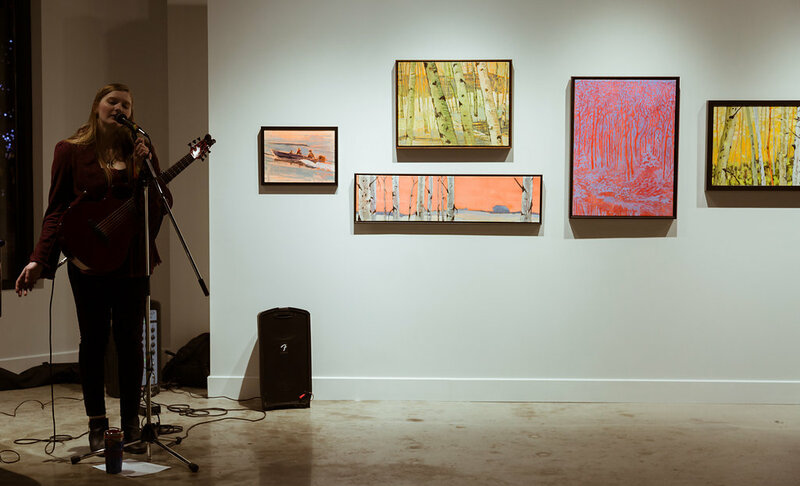 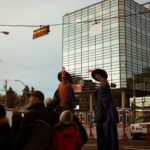 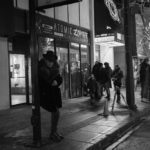 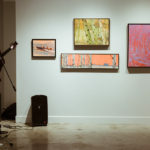 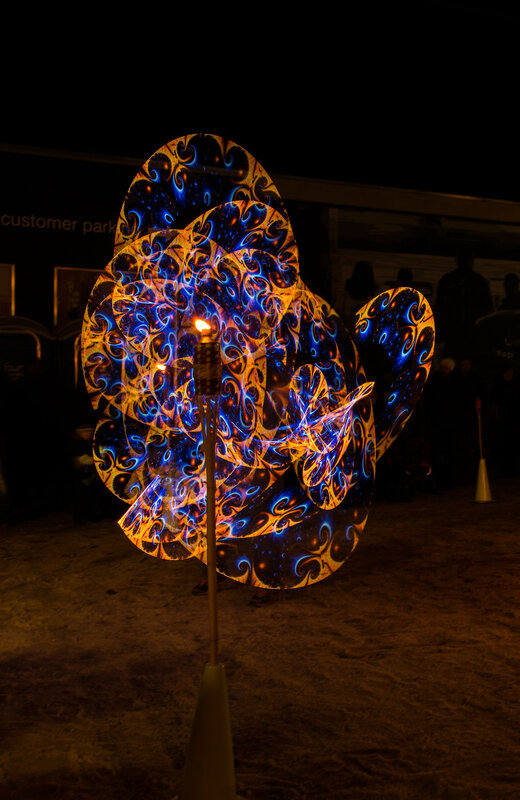 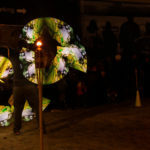 There were additional activities and installations that extended north, up 124 Street, to 108 Avenue. 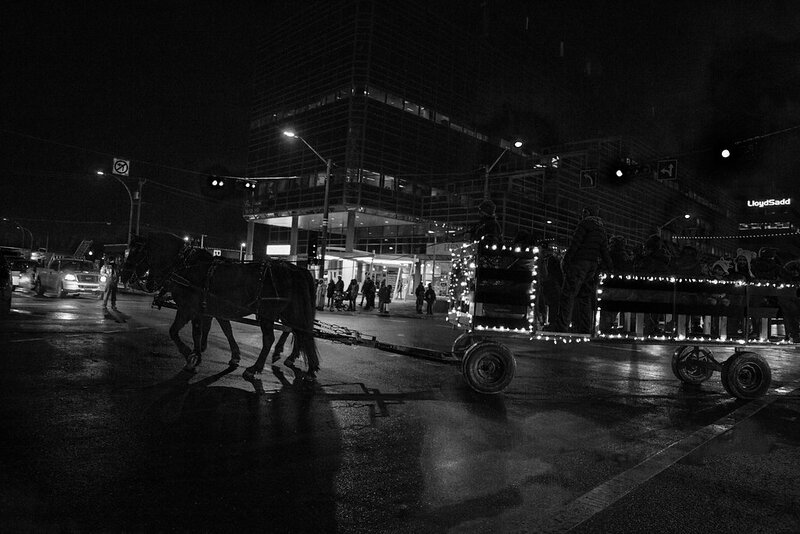 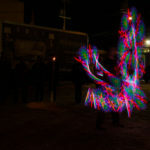 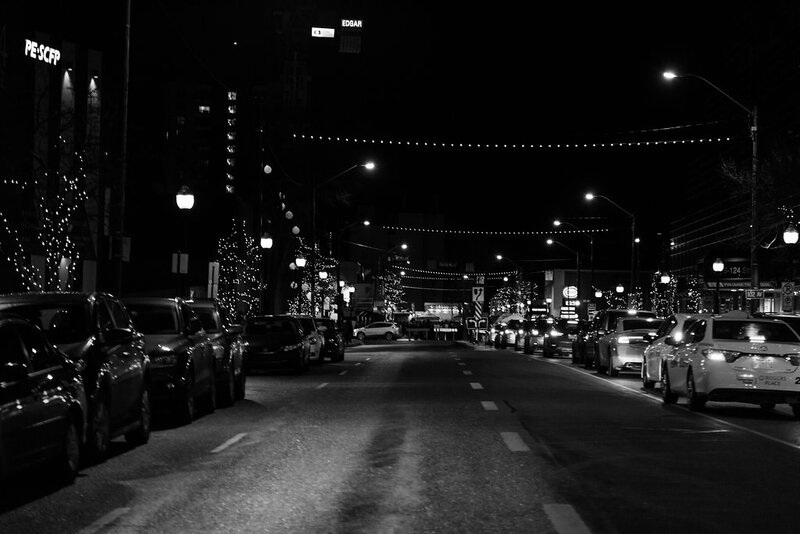 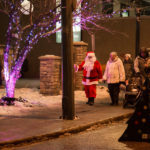 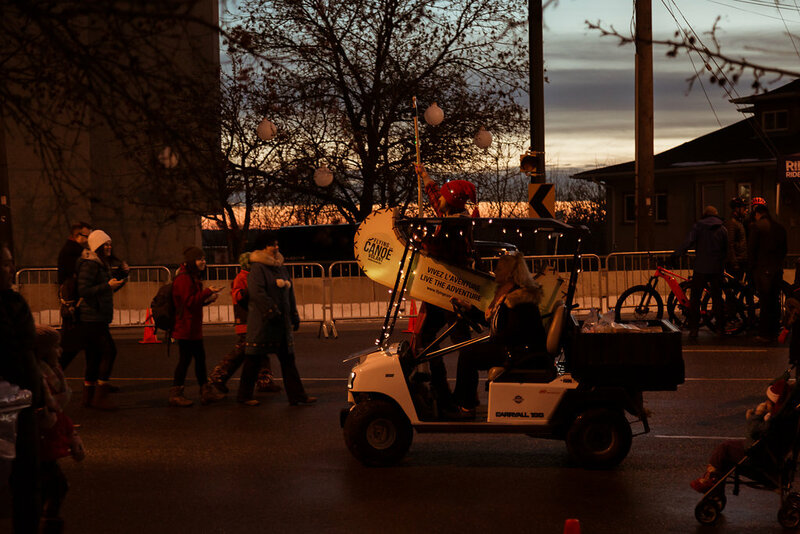 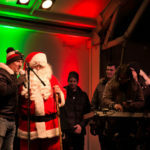 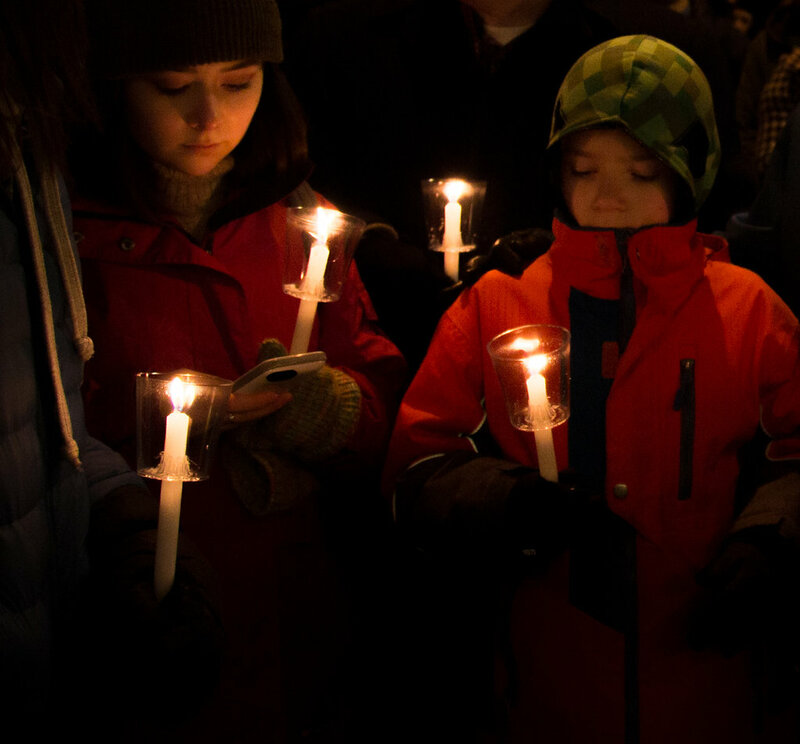 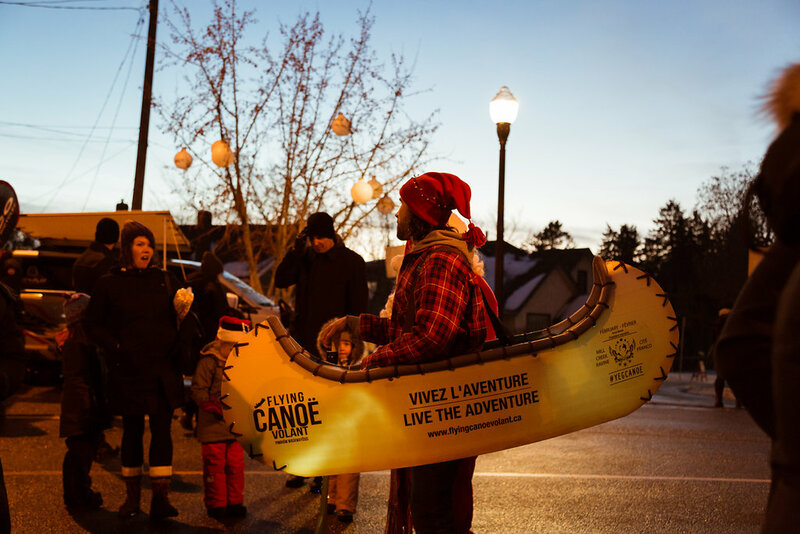 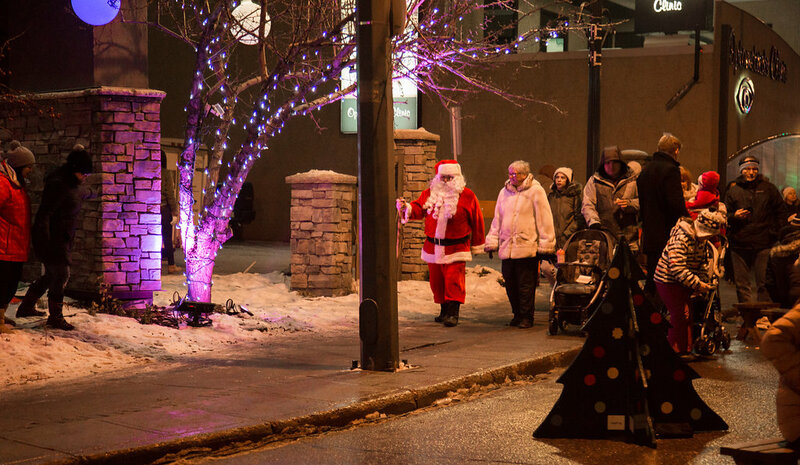 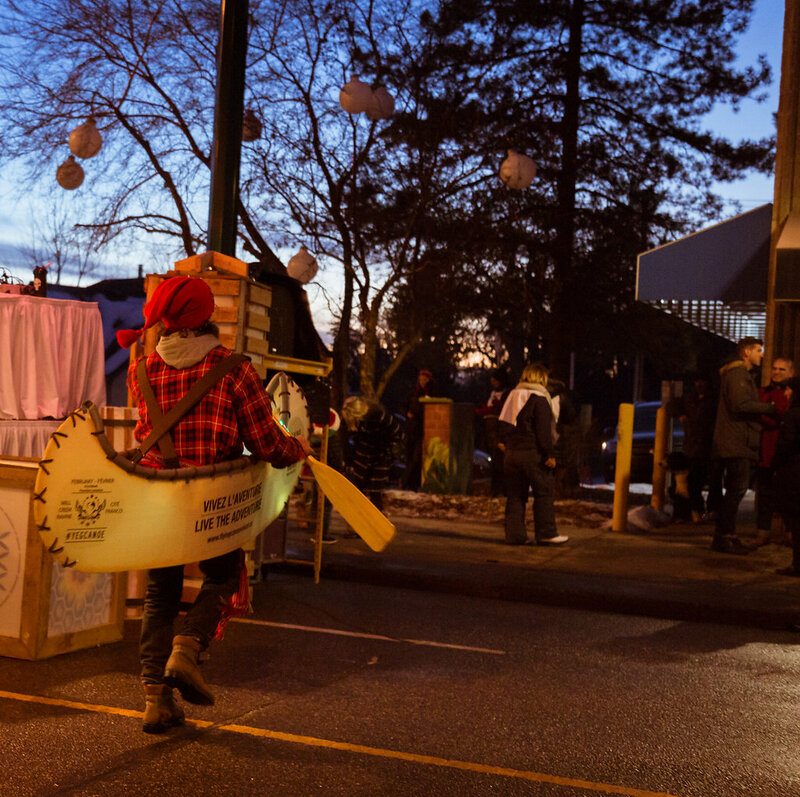 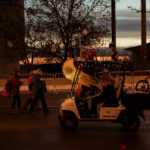 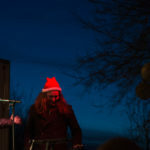 New this year, the Santa Light Up Parade kicked off the event at 4:00 pm on 108 Ave. 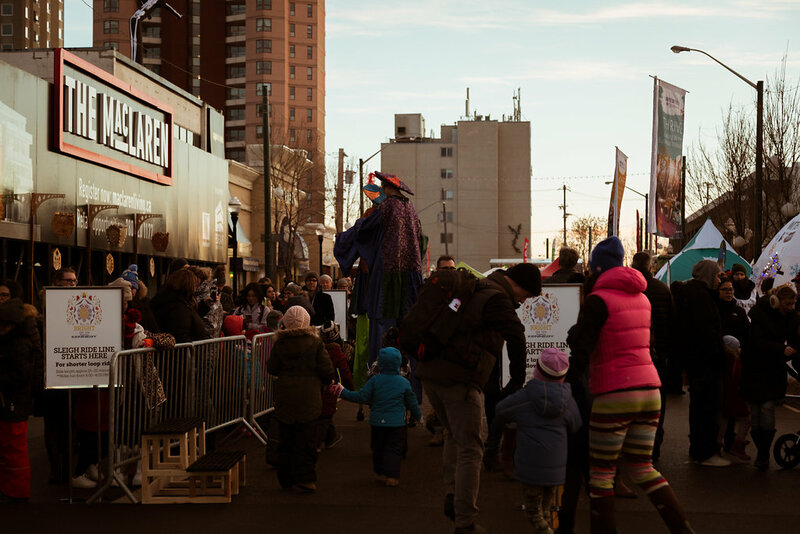 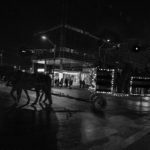 The procession made their way to the main festival grounds in time for the Official Light Up Ceremony on main stage at 5:00 pm. 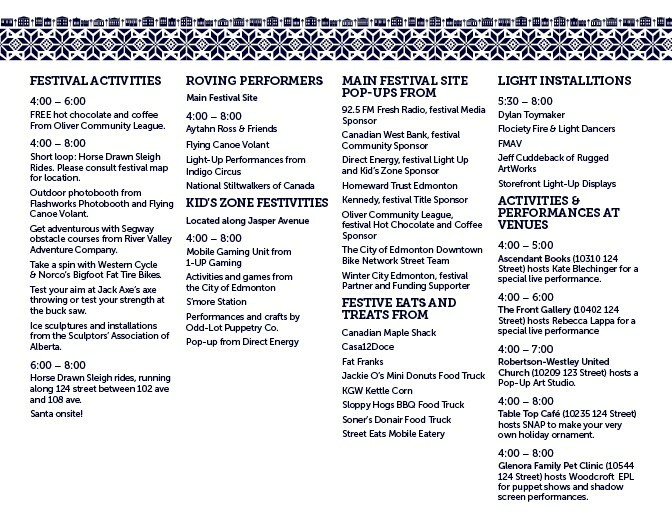 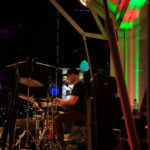 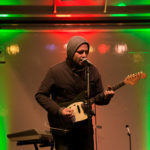 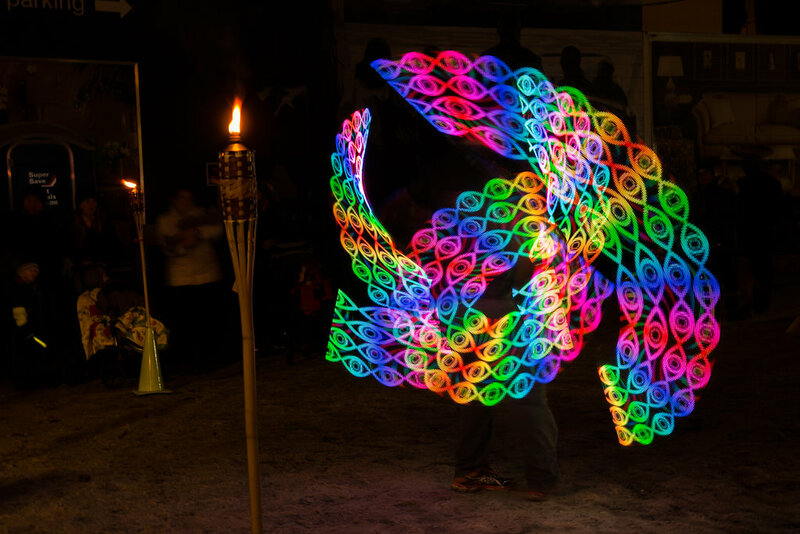 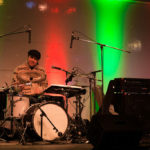 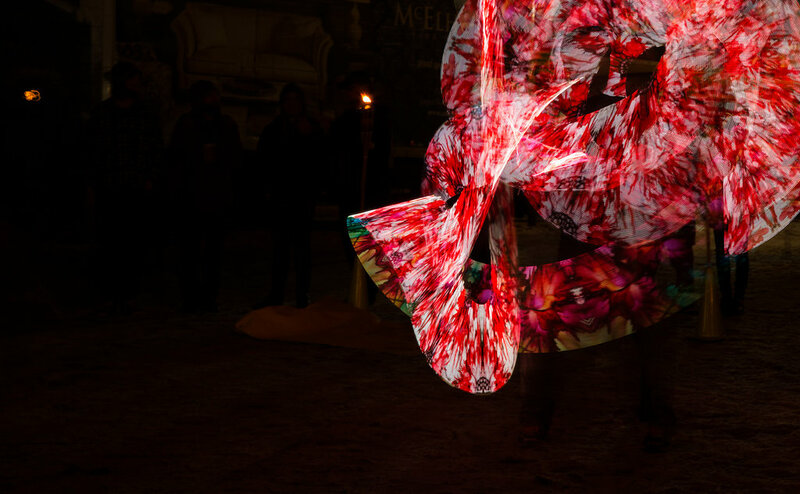 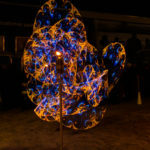 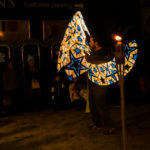 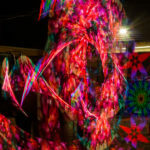 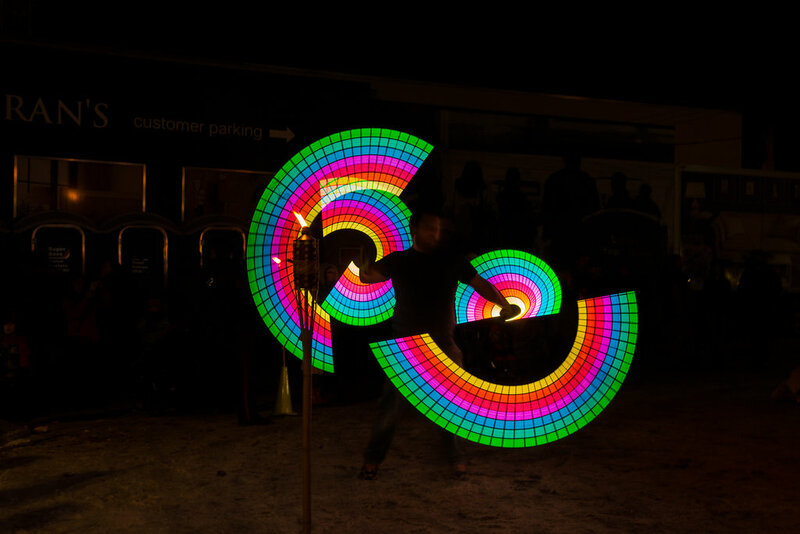 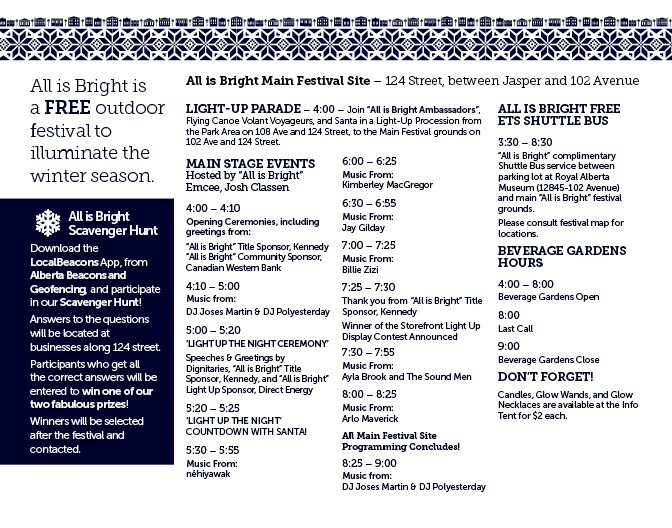 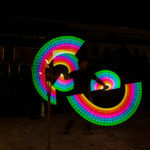 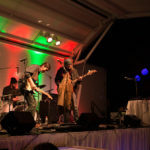 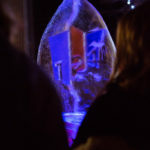 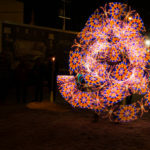 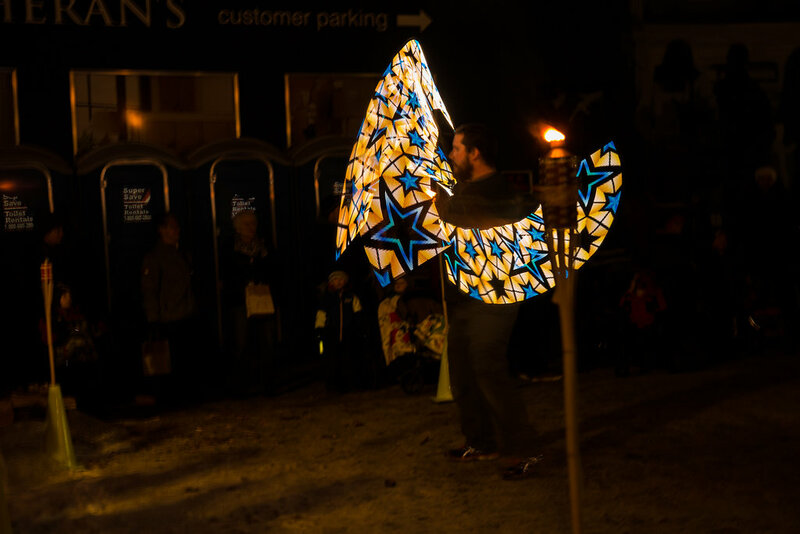 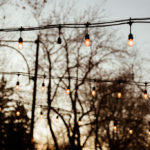 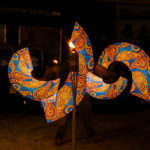 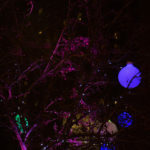 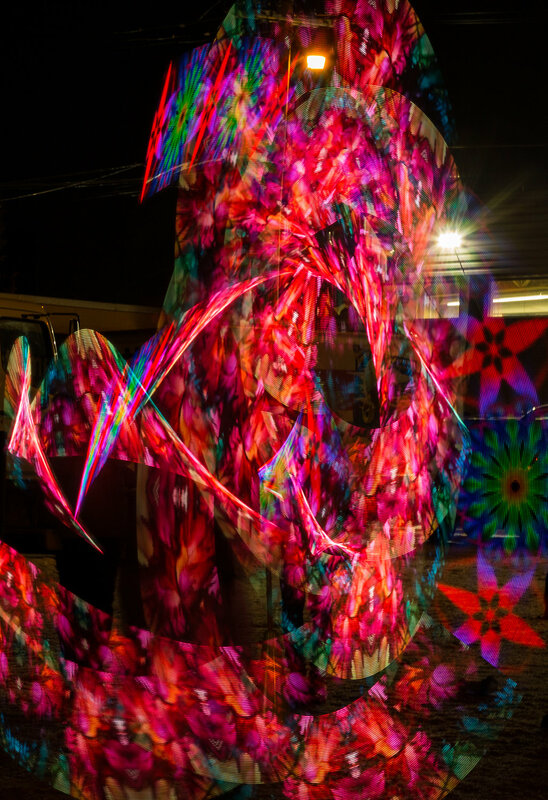 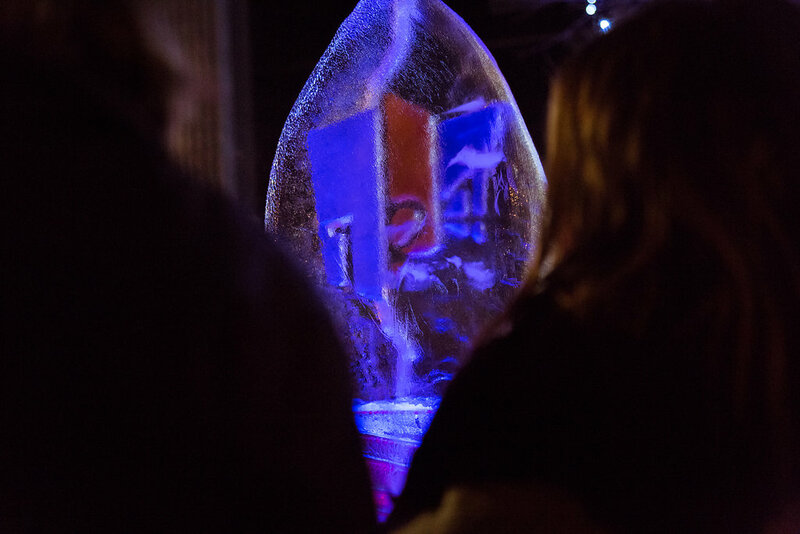 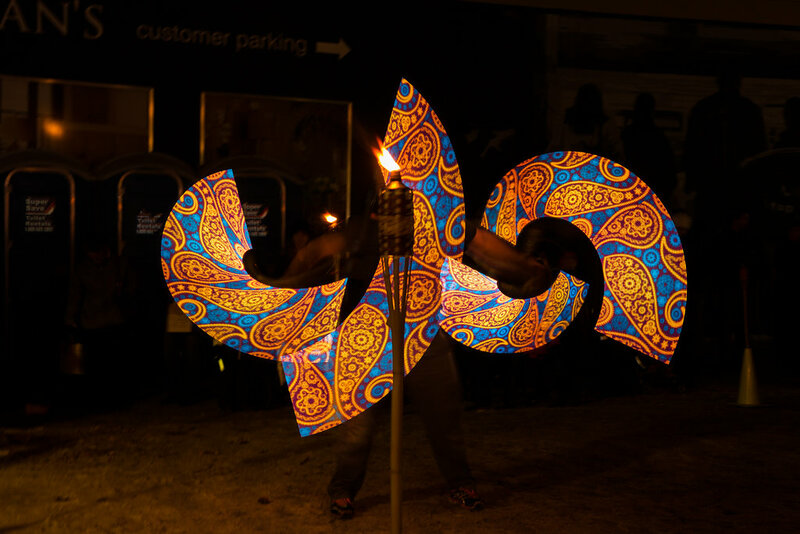 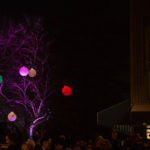 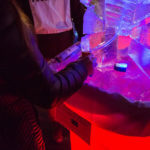 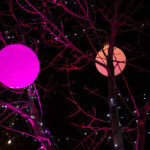 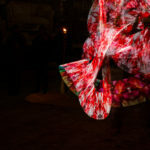 The festival ran from 4:00 pm to 8:00 pm, with the ‘Light Up Ceremony’ and Countdown taking place at 5:00 pm from Main Stage.